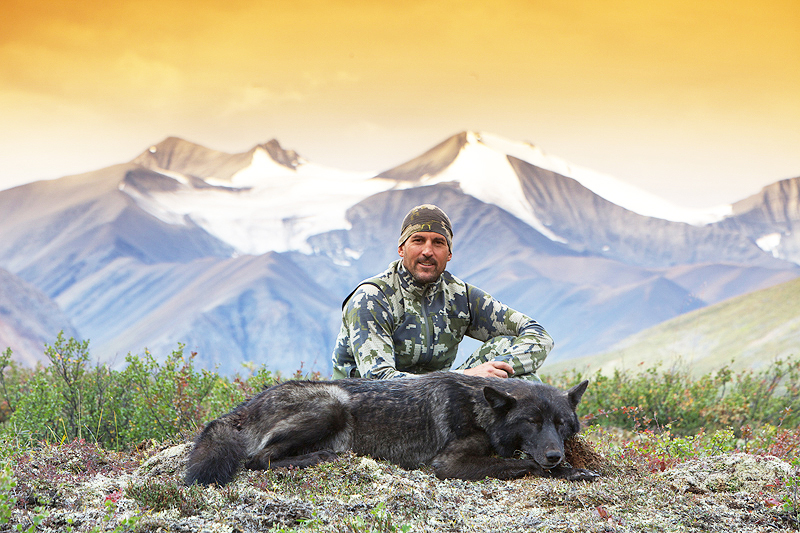 I just returned from another amazing hunt at Arctic Red River Outfitters in the NWT in Canada. I hope you enjoy the photo essay I have put together from the trip. 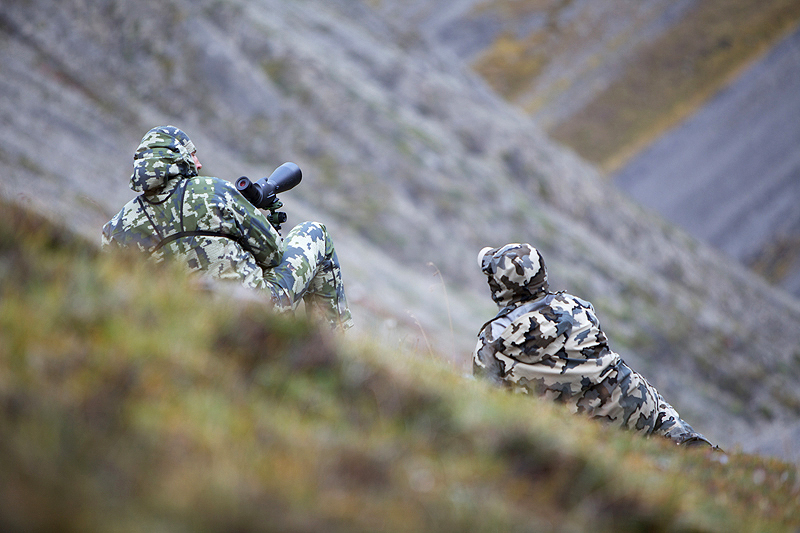 As you will see in the photos, I am wearing a new camouflage pattern called Verde and some our 2013 line-up of gear. The new pattern was developed due to requests by customers for a green based pattern. I am REALLY excited about how it turned out. It is super versatile and going to work just about everywhere. And it looks great! I will follow up this post soon with more details on Verde and the 2013 Gear including availability and when we will begin accepting pre-orders. PLEASE NOTE***** VIAS WILL BE OFFERED IN THE 2013 GEAR. All the photography is shot by Paul Bride. 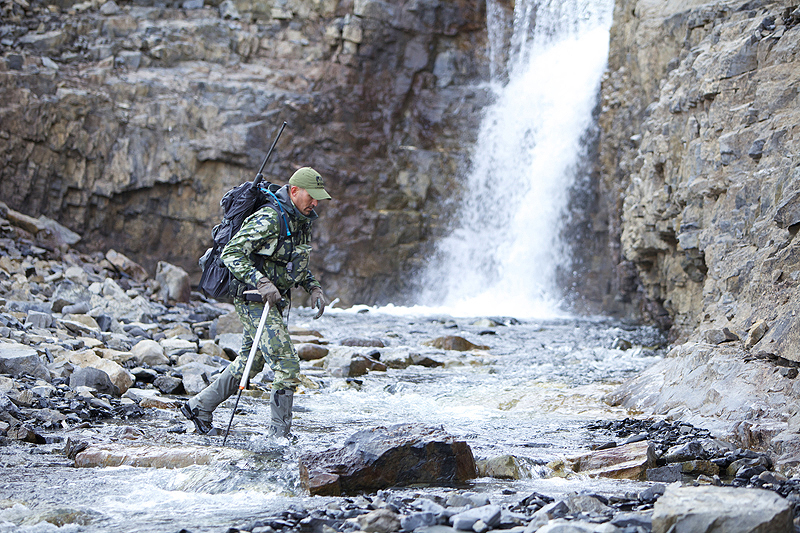 Paul shoots for Arcteryx, MSR, OR, Black Diamond and many other leading Outdoor Brands. 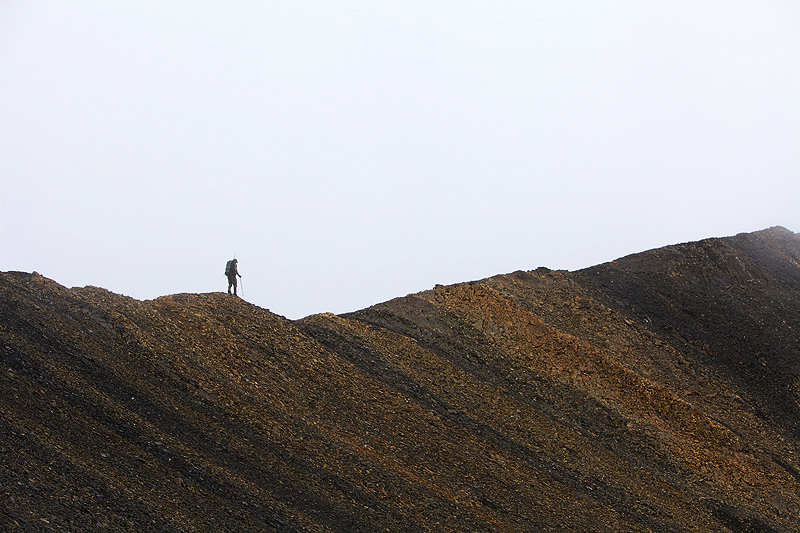 Paul has been on location around the world shooting climbing and outdoor photographs. He has over 30 magazine cover photographs and has won numerous awards for his work. This was his 1st hunting shoot and he throughly enjoyed the experience. He is uber talented and fantastic to work with. Enjoy. 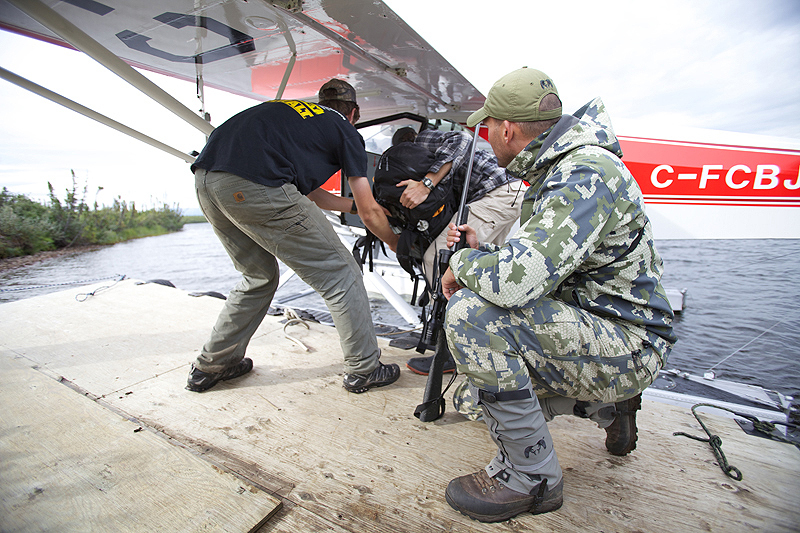 We flew in from Norman Wells, NWT to Base Camp on a Twin Otter operated by North-Wright Air. 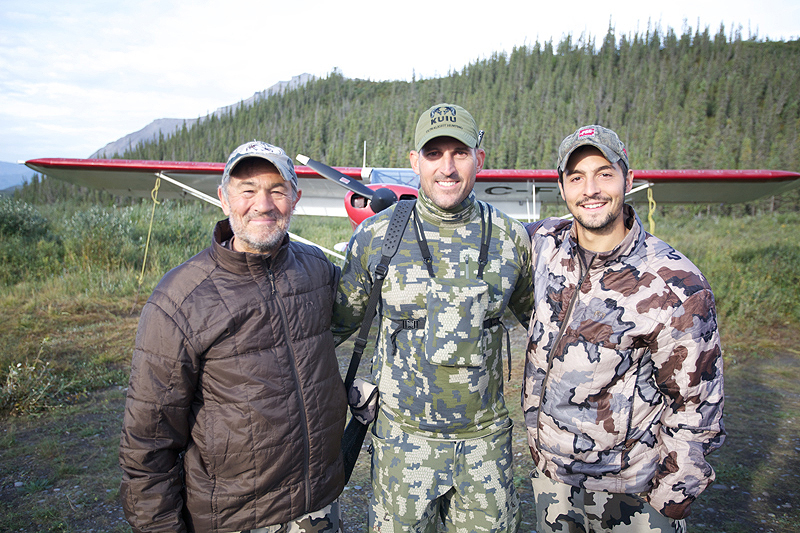 I had the pleasure of meeting our good customers and friends from Spain, Jose’ & Pedro Ampero who were on their way home from a successful hunt. 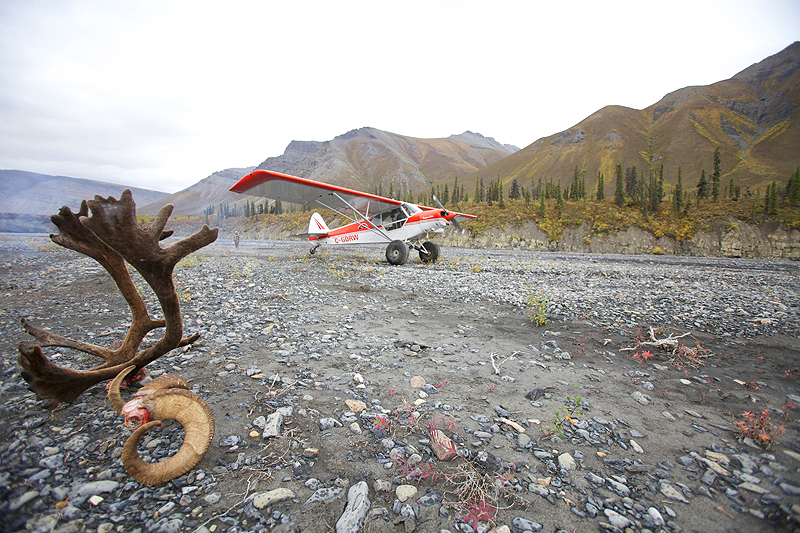 After landing at the Arctic Red Base Camp, we loaded up our gear and headed up to the lake above camp to catch the Bush Master floatplane to High Mountain Lake. High Mountain Lake is at the far Western end of the area,where Kent, my guide, was waiting for me. 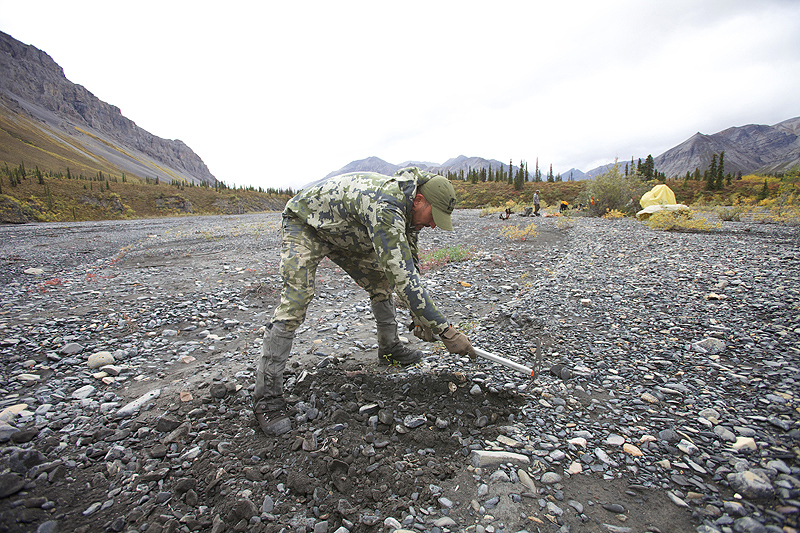 Our plan was to hunt up through a high pass then drop down to the Big Star River where we will be picked up on a gravel bar strip that we would build 10-days later. After meeting Kent at the Lake we put our packs on and began our 3-day trek to the Big Star River. 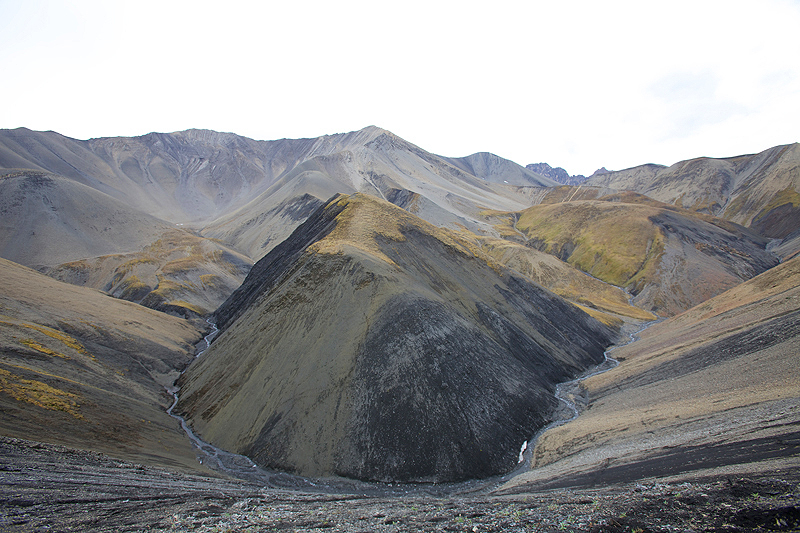 We went about 9 hours up the drainage towards the high pass where we set camp on a tundra covered knob that gave us an incredible view down the valley and up a drainage to our west. 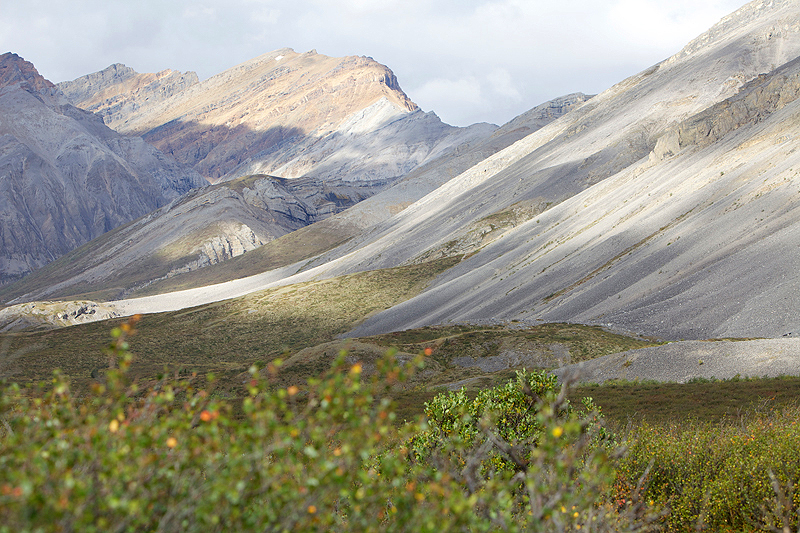 Rams were feeding to the east and west of us, a big bull caribou to the north, all of it surrounded by a cathedral of cliffs, rock spires and high basins. 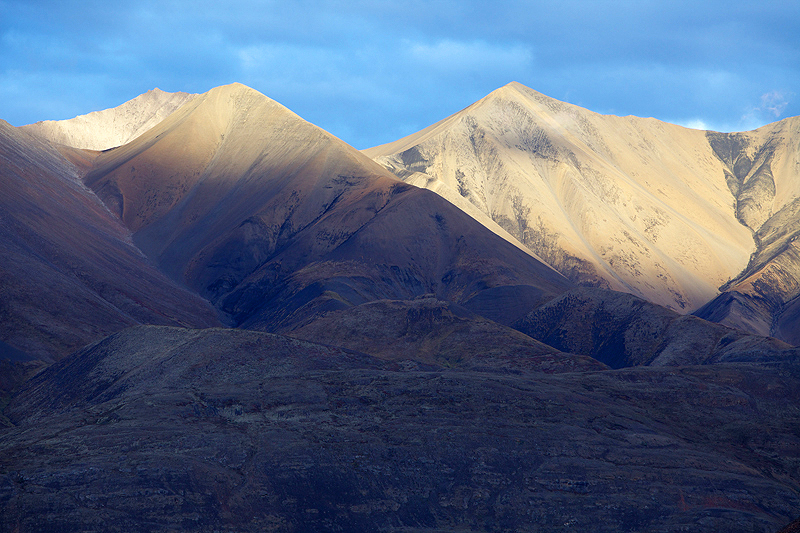 The fall colors were beginning to show themselves enhancing the beauty of this setting. We awoke to a beautiful clear morning and left camp to explore the drainage to our west where we spotted a young ram feeding the evening before. At the head of the drainage we found him with 3 other young rams bedded in a cliff band above us. 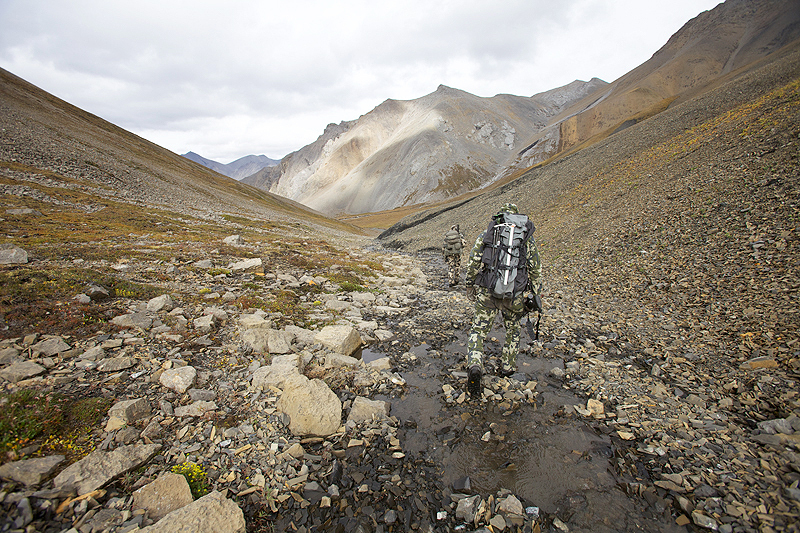 We hunted back to our tents, packed up and headed up the main drainage to Loan-pine Pass. 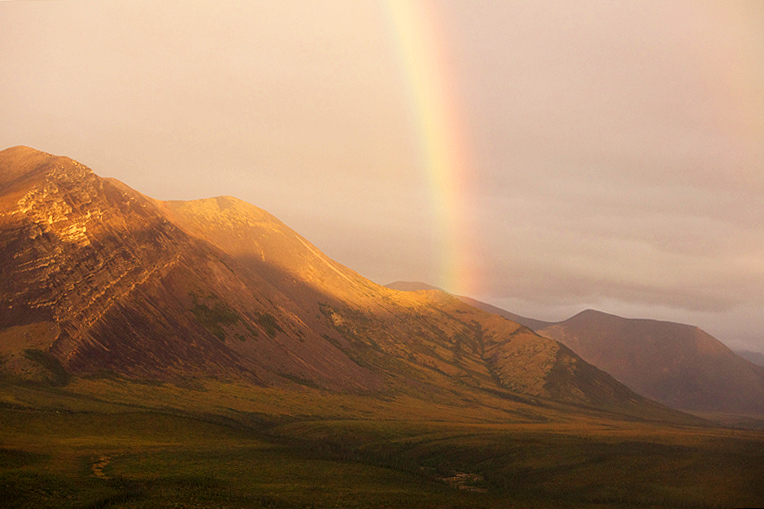 It took us most of the day to reach the pass where we set camp that evening in a heavy down pour. There were 15 ewes and lambs and two young rams above us on a ridge of black shale. I climbed into my bag excited to see the Ram River tomorrow. Heavy rain on my tent fly woke me and made for a cold and soggy breaking of camp. We descended down the bottom of a narrow canyon with cliff bands and rock spires that held ewes and one young ram. After 3 hours of descending through the rocky bottom we finally reached the Big Star. 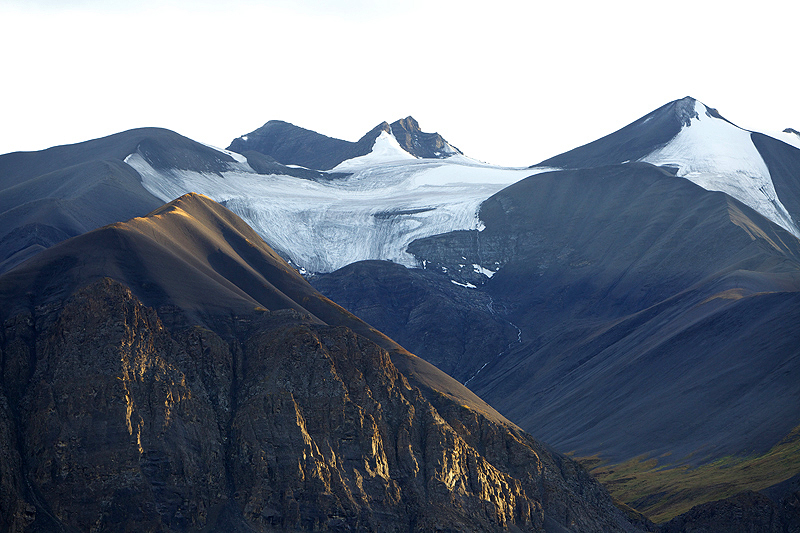 The Big Star River is a wide Glacial cut valley with rolling hills layered with spruce, willows and tundra surrounded by high peaks, cliffs, black shale basins painted with golden lichen and high mountain glaciers. It was breathtaking. We set camp at 4 pm in drainage off the Ram called Al’s Cut, named after the legendary guide Al Klassen who has been guiding at Arctic Red for longer than anyone can remember. 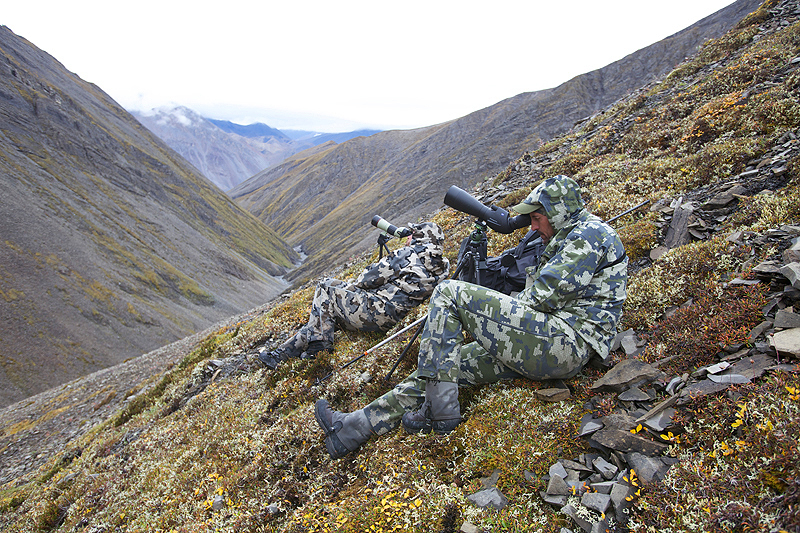 Kent’s plan was to spend two days hunting this area. Kent stressed we are “shopping”. I reminded him I am an impulse buyer! 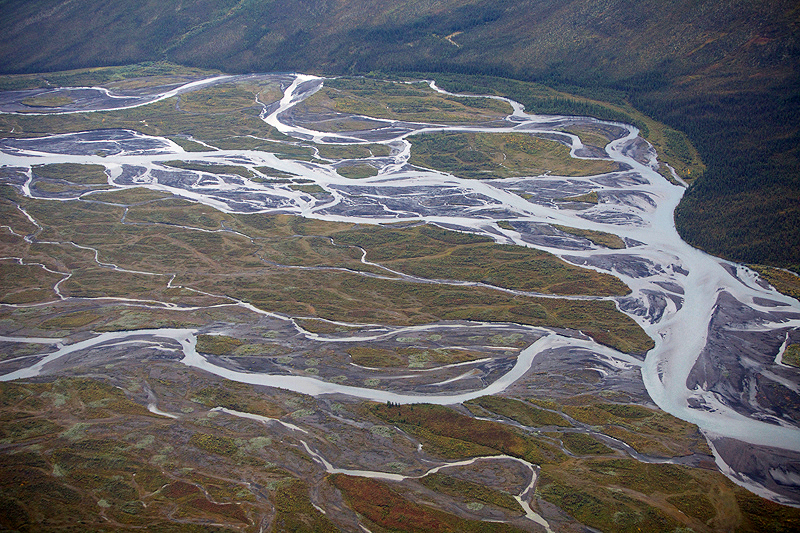 Arctic Red River does not pre-scout for its clients. Tavis & Rebecca intimately know the area and keeps a detailed logbook of how many sheep and rams are harvested, passed up, their approximate age and location. They catalog this information to make educated decisions of where to send clients. 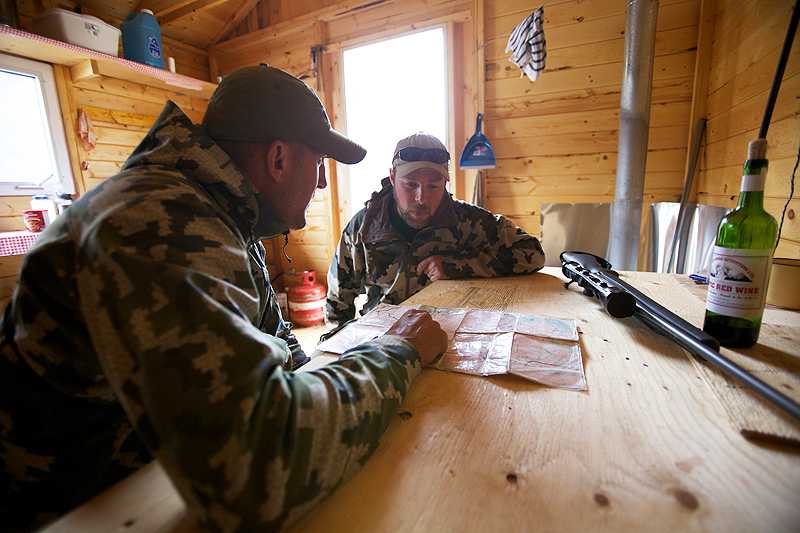 Hunters will not hunt an area previously hunted that season and most of the time not hunted in several seasons or in the case of my hunt last season, never been hunted. 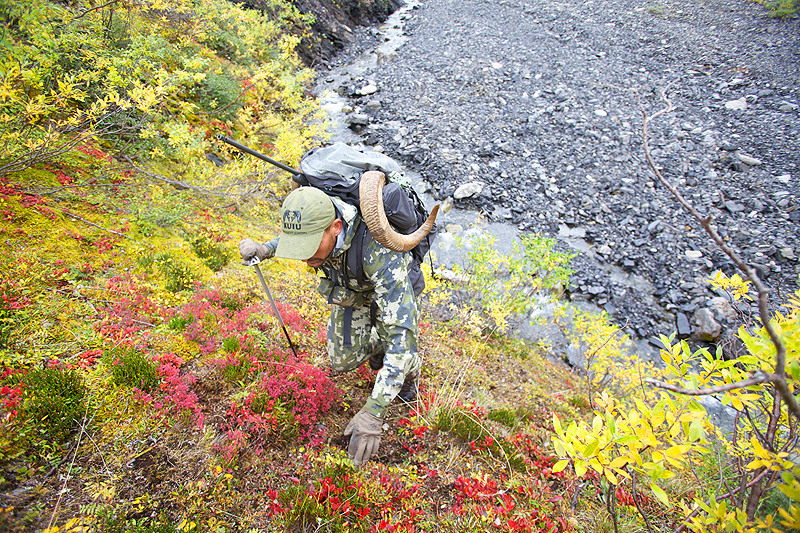 The client at Arctic Red is involved in the “process” of finding a ram and harvesting. It makes it for a much more rewarding hunt in my opinion. 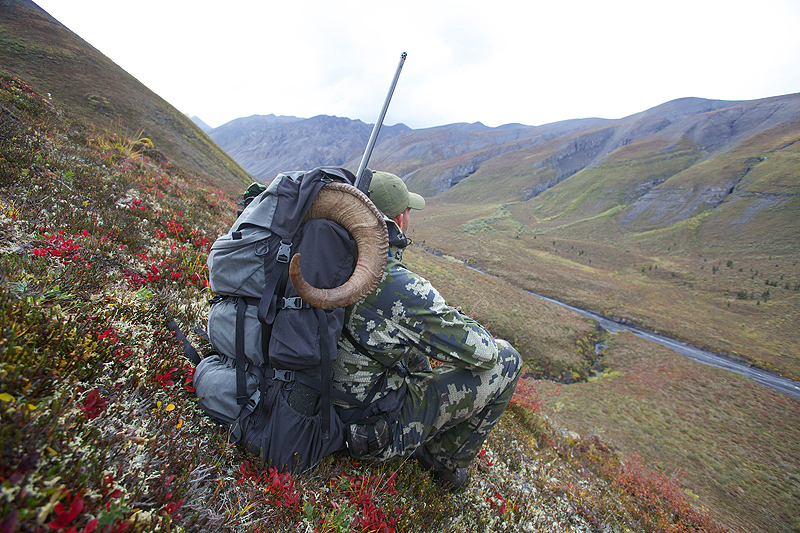 It may not be for everyone but if you appreciate a challenging experience and want a classic backpack sheep hunt Arctic Red is simply amazing. Come in shape and with the right gear. 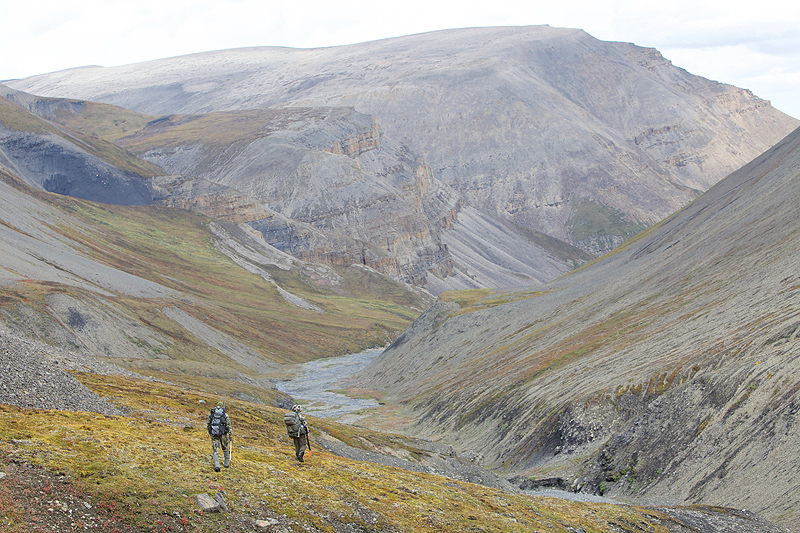 We hunted up a narrow cut that was made up of lichen-covered ridges on the south side and cliff bands and vertical rock spires on the north. It was perfect ram habitat. We found only 3 young rams . 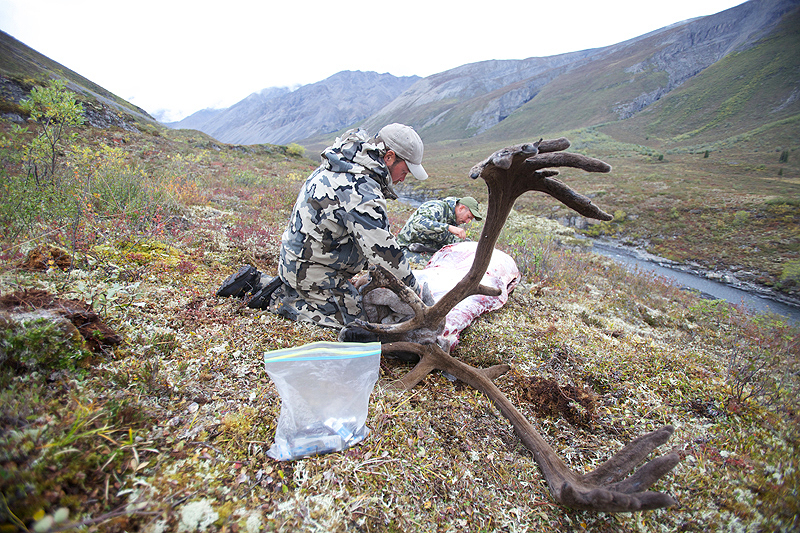 We woke at 8 am, made coffee, ate granola and powdered milk packed out packs for a day hunt and hit the trail at 10 am. We had a long day ahead of us. The day’s are still long in the middle of August. It stays light until 11:30pm and sunrise is at 5am. 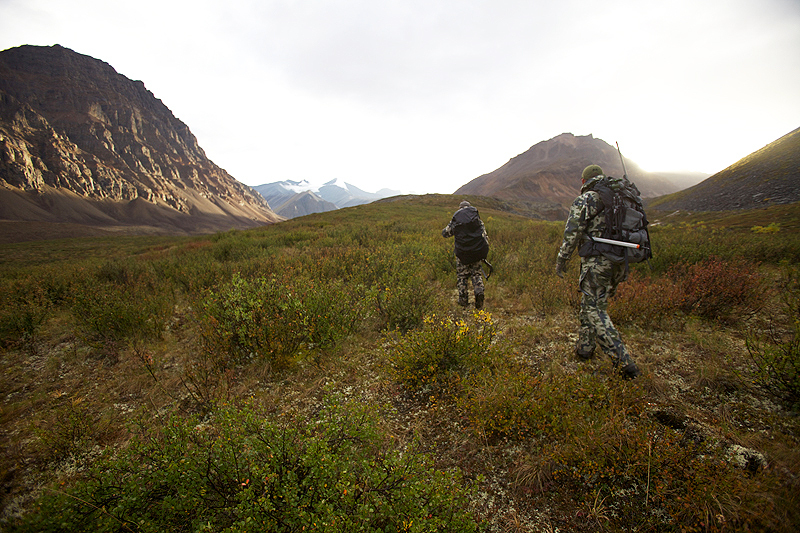 The best hunting is in the evening after 7:30pm. So you always get in late and to bed after mid-night. It is important to get your sleep. We walked 12 to 14 hours a day for 9 straight days. 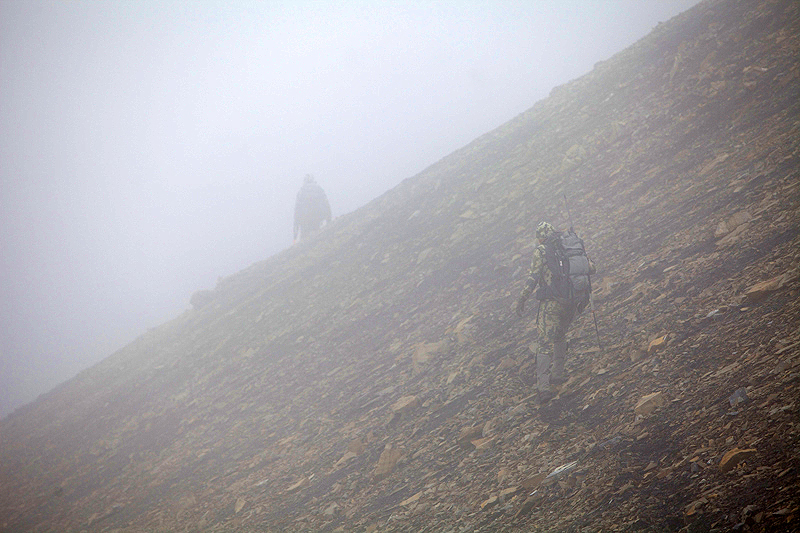 None of it flat or easy terrain and most of it with a heavy pack. We experienced hot days, cold days, windy, wet, rain, fog and frost. We spotted 2 rams on a distant ridge up and wanted to take a closer look. After hiking up through a narrow cut to find the 2 rams, we found this hidden basin covered with sheep trails and tracks. We found an old ram bedded under a rock outcropping. We crawled into this saddle to get a closer look at this old ram. 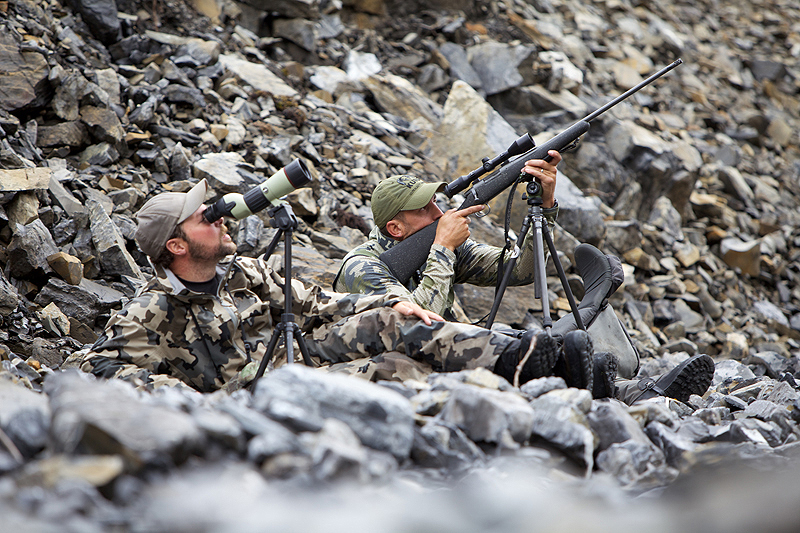 Kent and I close the distance on the ram bedded in the rocks on the far mountain in the background. We think he is the “one”. 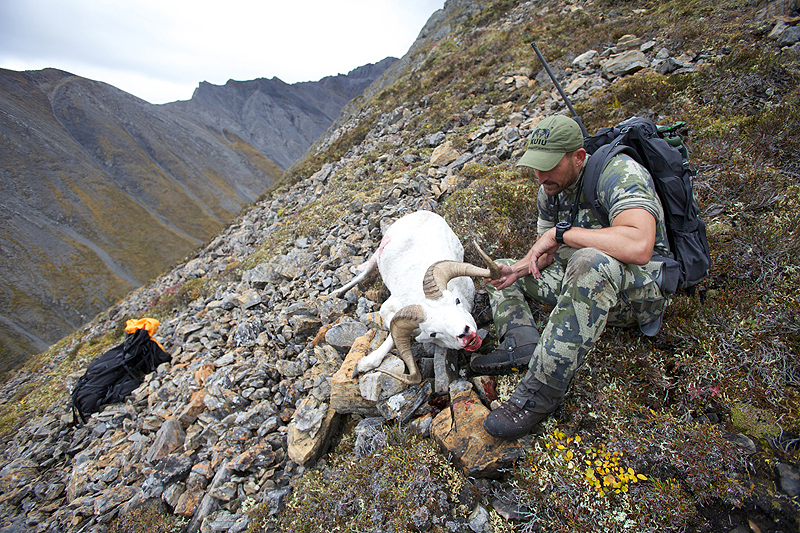 A ram we did not see bedded on a different ridge, busted us and began to head up hill. We got up against this shale slide for cover and see if the old ram was alerted. Disappointment. The young ram spooked the old ram and he headed up over the top of the mountain ending our chances. Kent wants to move camp up the ram to look in a couple of drainages has shot some big rams in the past years. 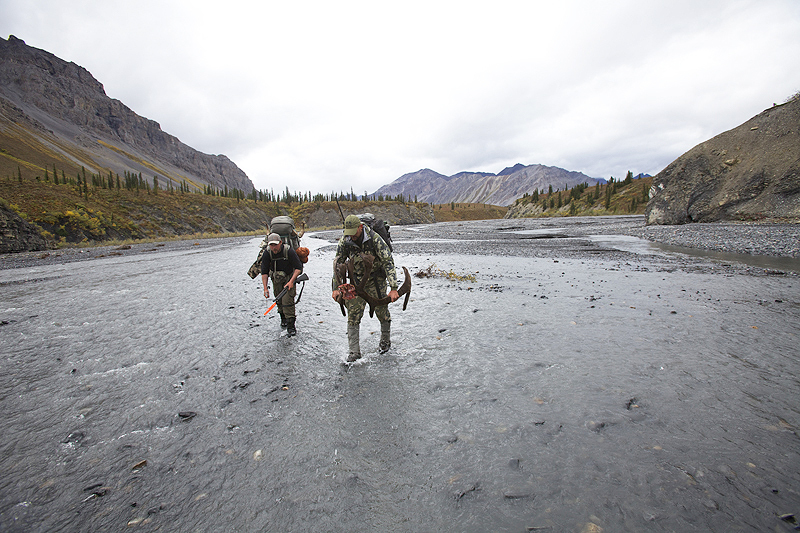 We spend most of the day hunting up the Big Star River. 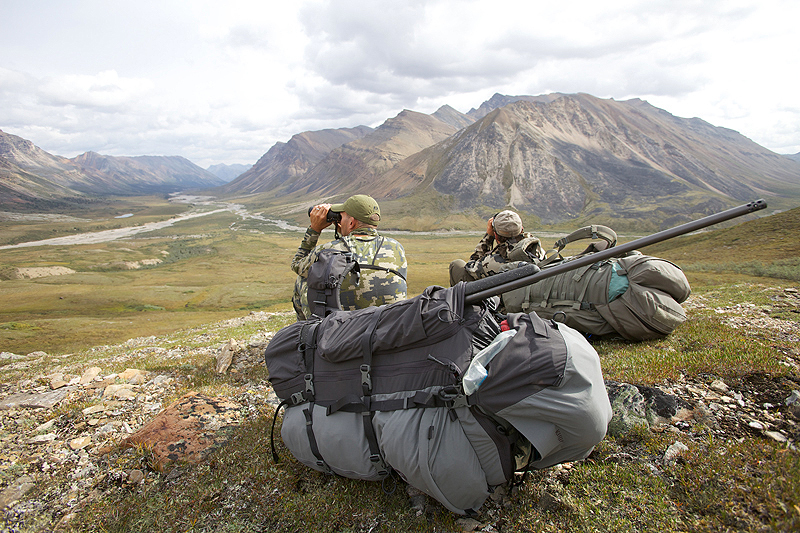 The plan is to hunt here a couple of days and see what we can find. We are seeing from 10 to 20 rams a day, so it becomes a game of finding “the” ram. We set camp and headed up to glass 2 drainages. We found 13 different rams but none of them quite what we were looking for. 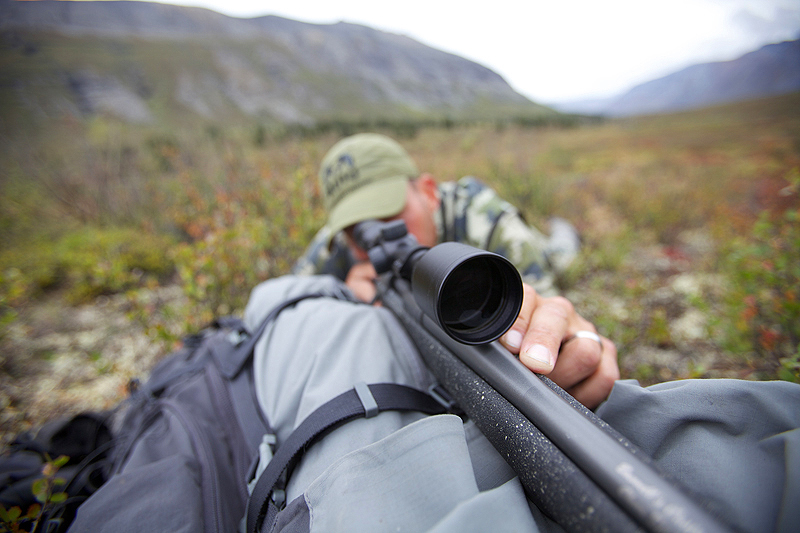 Loading up my pack at my tent for our day hunt, Kent calmly and softly tells me to slowly grab my rifle. A wolf just appeared on the ridge across from camp. I could not get a good rest to make a steady shot. Fortunately my Tri-pod was sitting next to my tent and gave me the steadiness I needed to make a 274 yard shot on this large and old male wolf. It all happend so fast it I did not have time to get excited which made it a much easier shot. Kent skinned and salted the hide and we headed up the ram to look for sheep. 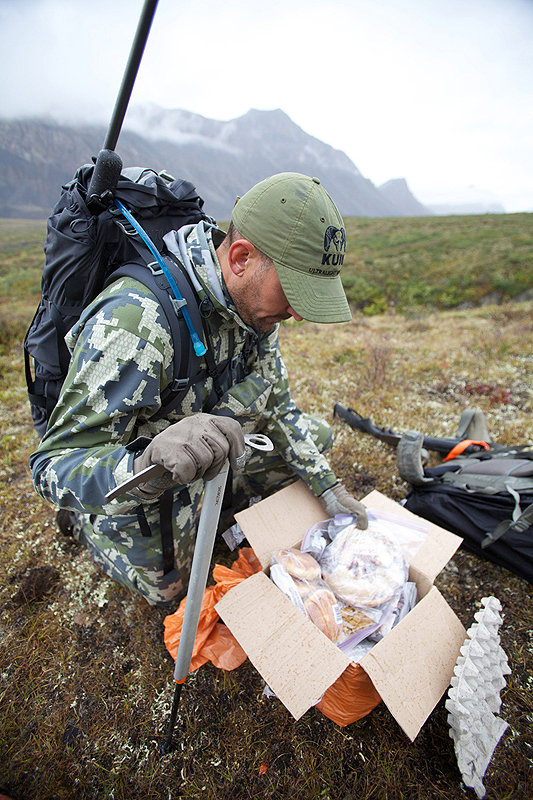 Tavis flew in to check on us and do the traditional mid-hunt air drop of pie, bread, cookies and meat loaf. A welcome site after of living on bars and freeze dried for a week. 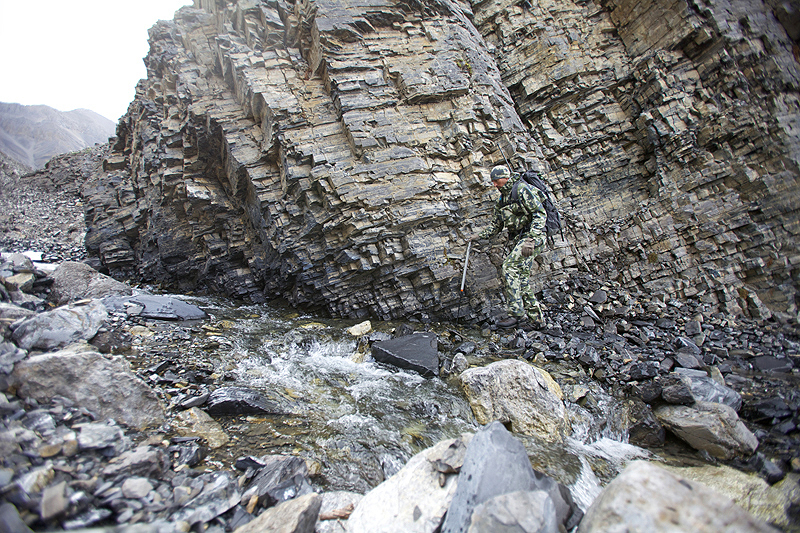 We hunted up a narrow cut with cliffs, slides and vertical ridges. The cut held several rams and we found one bedded up high that had some potential. He was quartering away and the side we could see looked promising, a nice flaring tipped horn and 10 1/2 years old. We watched him for a couple of hours waiting to see the off side horn. He finally got up to reposition in his bed and he was broomed off. 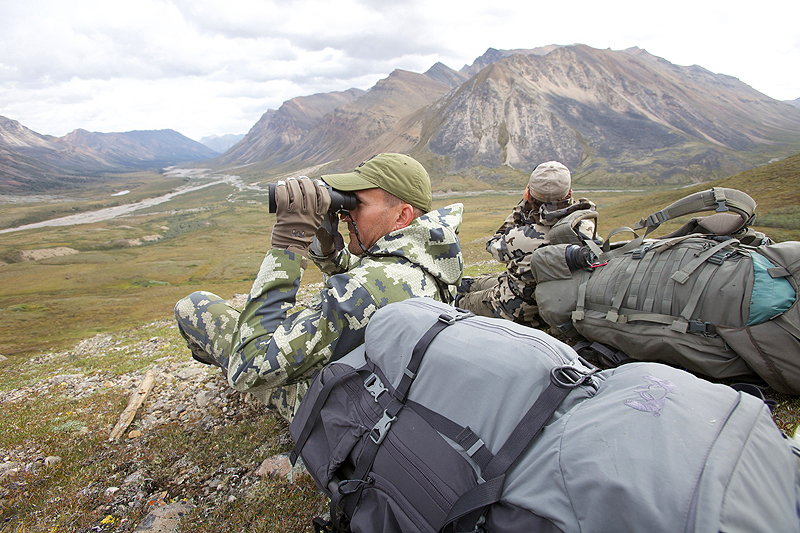 Kent stressed that we were getting low on days to shoot a ram and a Caribou. If I wanted both he suggested we try and shoot this ram. I decided to pass and just focus on sheep for our last few days of the hunt. 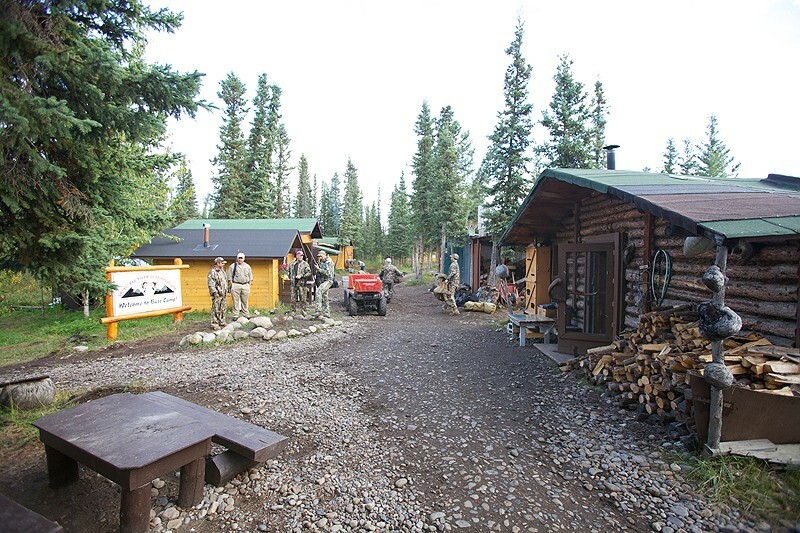 After covering a ton of country on Day-6, looking over a lot of sheep and not finding “the” ram, we decided to move camp back to Al’s cut and see if we could find the ram we stalked on day 4. It took us most of the day to get back there and set up camp. Around 5 pm we headed out of camp and up Al’s cut. Just out of camp we spotted a bachelor group of big bulls. Kent said “do not even think bout it” we need to preserve the days to find a ram. There was one bull that was palmated and heavy and I instantly fell in love! I told Kent not to worry and that I wanted to close the distance to just get a better look at them for fun. I closed the distance down to 215 yards and could not resist. I pulled the Boswell .300 WSM out of my pack laid it across the Icon and shot the bull behind the shoulder. Kent’s reaction was priceless. He could not believe I shot this bull so far from the strip and late on our 7th day. I told him it would all work out, do not worry. He is a slug of a bull. Old, palmated, grey with scars on his face and flanks from fighting and wolves. An old warrior. I was so excited to take such a great animal. We skinned and quartered the old bull. 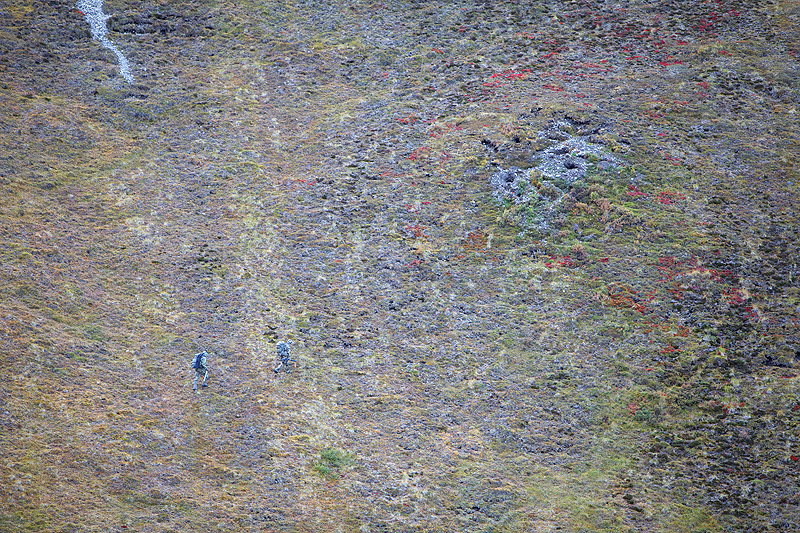 While Kent was caping I headed up to a small ridge above us to look into a narrow cut. I sat down to glass and found a beautiful tipped ram at the far end of the cut heading down. 3 minutes later he disappeared. I knew this was my ram!! Had I not shot the bull we never would have found this ram. The mountains were being very generous to me! Kent spotted the ram in the cut from camp. He fed over a small ridge, pretty low in the cut and did not come out from behind it. We knew he bedded and was low enough to shoot from the bottom of the canyon. The stalk was on. We staked the ram up through a narrow boulder filled canyon. We knew we were getting close, Kent went around a corner in front of me then came right back, looked at me very seriously, said grab your rifle. The ram is 175 yards above above us. He just saw me and is up. I grabbed my rifle and tri-pod and came around the corner, the ram was on the move, heading straight up away from us now at 350 yards and not stopping. I struggled with my tri-pod to get a steady rest, I knew the shot had to count so I waited until I settled down and the ram stopped. At 374 yards almost straight up he finally gave me a quartering away angle. I was on him, shooting for 300 yards due to the steep upward angle. The gun went off. The hit was perfect and the ram was down! I was speechless! He is a beautiful 8 1/2 year old ram, I was thrilled beyond words. What a hunt! I could not believe how it all came together so quickly in just a few hours. My gut told me last night that it would all work out. 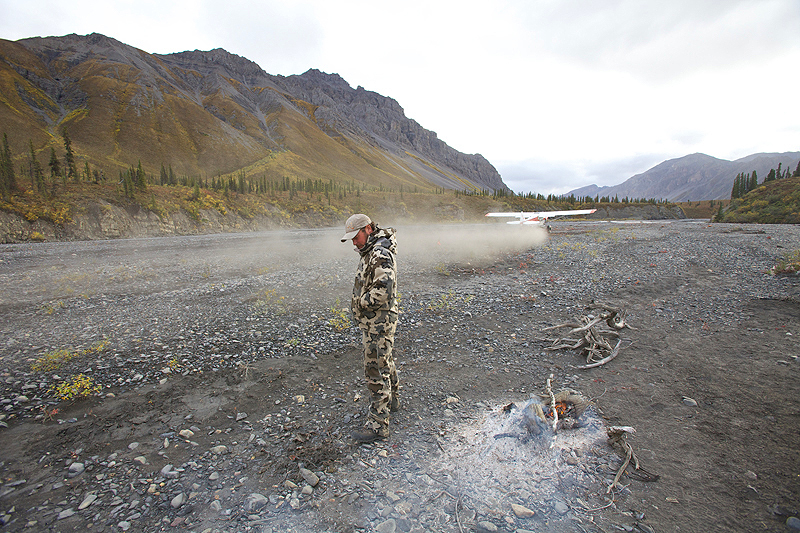 Kent and I loaded up camp, the ram hide and meat, the caribou meat, horns and cape and the wolf hide and skull and headed to the Big Star River to find and build an air strip. 120 + pound load in the Icon and it performed flawlessly. 4 hours later we stumbled onto a gravel bar that was long enough to build an airstrip for Tavis to come pick us up. 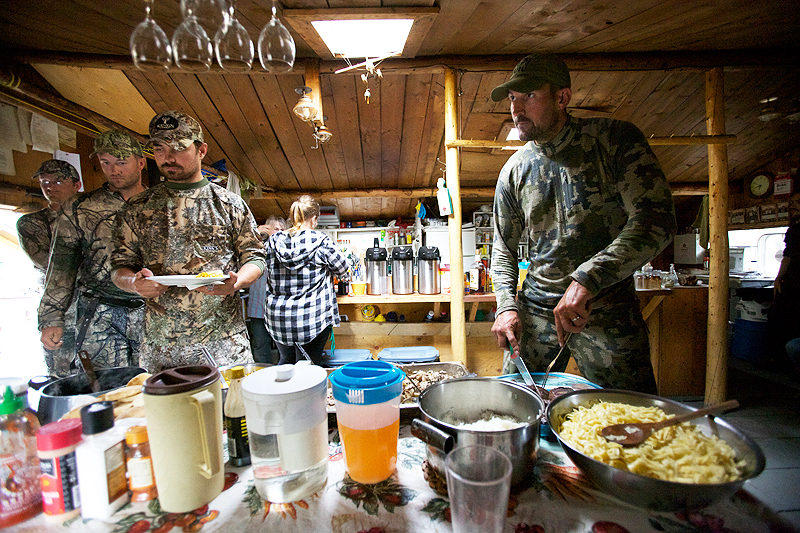 We flew back to base camp and arrived just in time for a HUGE dinner and a stories with all of the rest of the hunters who were back in from their hunts. It was a very fun evening. 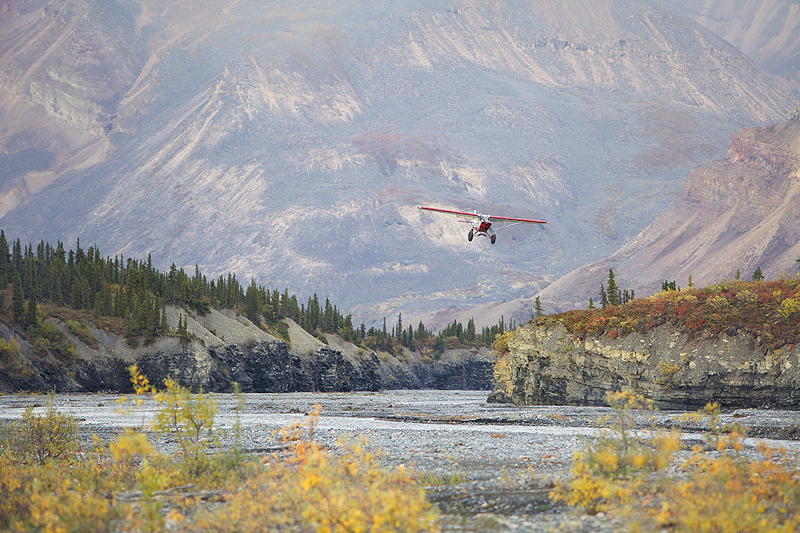 The hardest part of The Arctic Red River is leaving! I want to give a well deserved thank you to Tavis & Rebecca who run such a professional operation and their area is so spectacular. 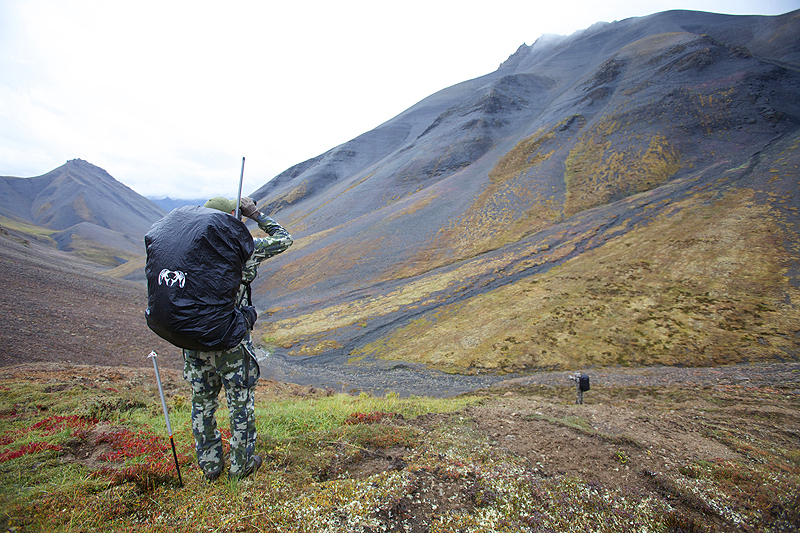 If you like backpack hunting this is as close to paradise as I think you can get. Very, very enjoyable story of your hunt. Best congratulations on your kills, and for the rewards of the mountains! Thank you Kevin. I appreciate the comment. What a very demanding but fulfilling hunt! An epic adventure that I will read many times. Great photography and descriptions that leave the reader with aching muscles and reaching for the water bottle. Three pieces of equipment to ask about. 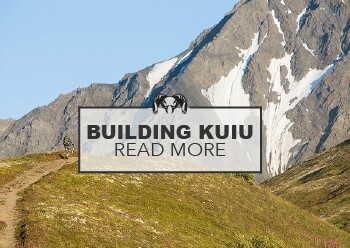 What size KUIU pack, brand of boots and brand of ice ax. 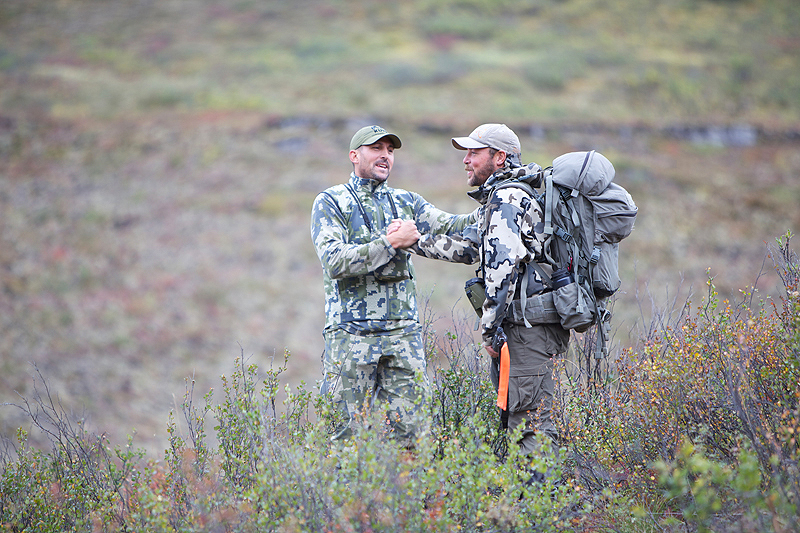 Congratulations on a hunt filled with memories to spare. My guess is 7000 on the pack, that thing is HUGE! I was running the Icon 7000, Schnee’s Granite boots and the Petzl Snowscopic Ice Axe. I will do a post hunt blog post covering my gear list, weight and etc. What a breathtaking adventure. Awesome story and great pics. Congrats on all the new trophies. Thank you Wade for taking the time to comment. Congrats Jason! You left with some fine trophies and it sounds and looked like an amazing trip! Thanks for sharing I love all the pictures, and that new camo is pretty sweet! Thanks Will! I appreciate it. Thanks Greg! An amazing part of the world up there! Oh yeah….”Verde” is a homerun!! Thanks Curt. I look forward to hearing how it works for you this season! Awesome, Jason! The caribou and the ram weren’t bad either. Looks like a great trip. How about two tickets to paradise? Thanks Ed! It is an amazing adventure! 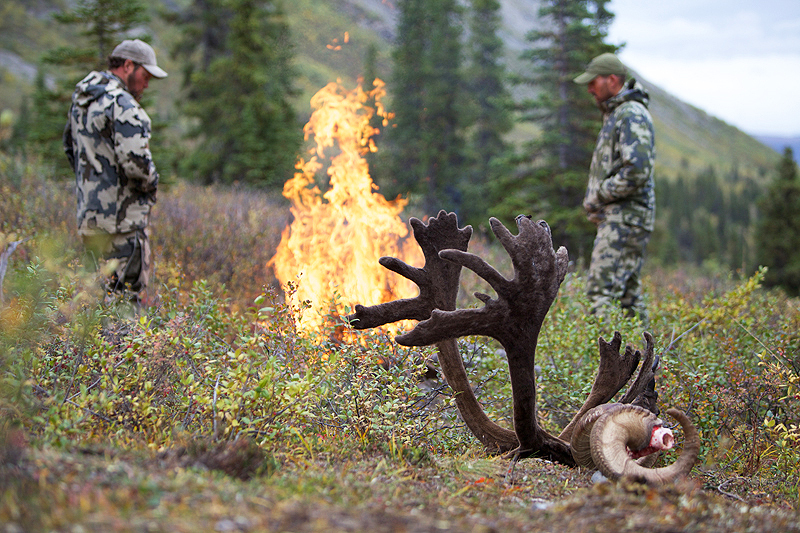 Great Hunt, great story and great pics!!! Congrats, that is surely a hunt to remember! Question on your rain cover for the ICON..Is there a place for the rifle to go through the cover or did it just wrap around the rifle?? I wrap it around the rifle and it cinches tight around the pack. Awesome, breathtaking, way to go, can I have some of your energy! Holy crap!! 120 lbs on your back! I’m starting to wonder if I’ve done enough to get in shape for this hunt. I leave tomorrow. You will be fine Dave. Good luck up there and take it all in. Remember when you are exhausted on day 5 keep your head down and keep grinding. It will get better. Wow! Amazing photography! Amazing trip! Two awesome animals! Way to go and thanks for taking us along. Oh, and the camo looks pretty good too. Jason, congrats on your fine trophys. Sure is nice when everything comes together. 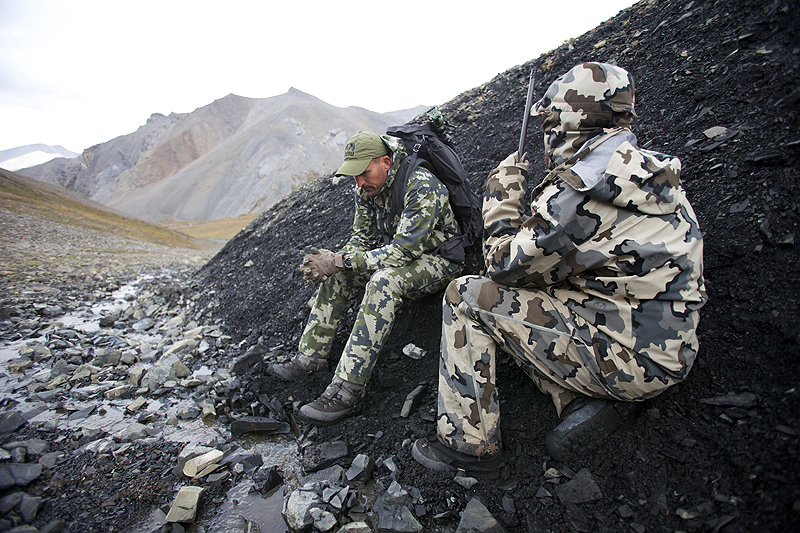 I was able to take a Dall in August also, although I just used the “plain” major brown colored KUIU clothing. It still worked great. Thanks for sharing and great photos. Thanks Mark. 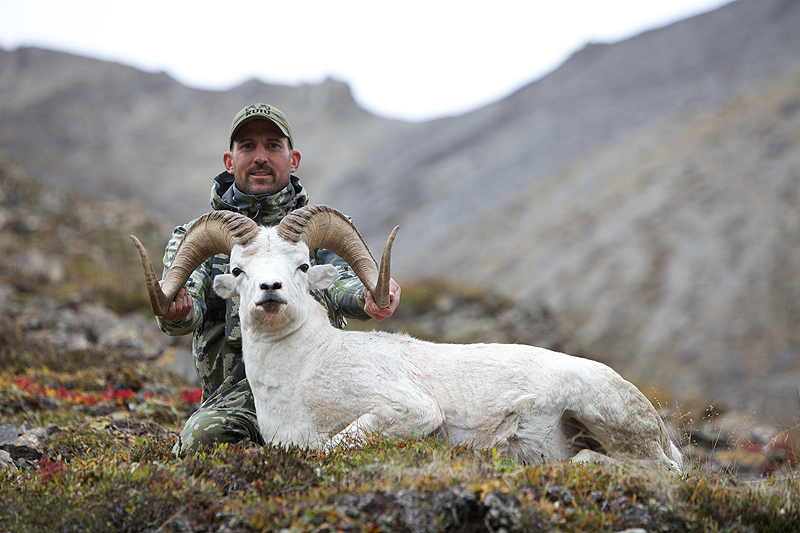 Congratulations on your Dall Sheep. 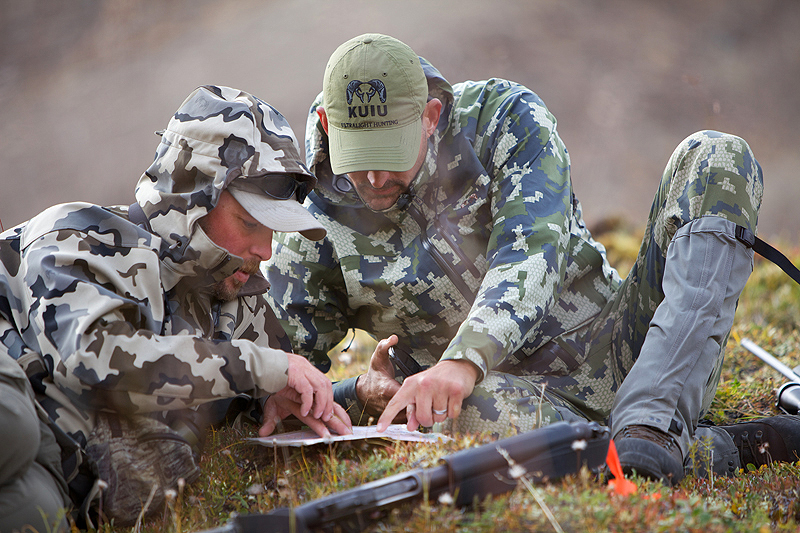 Please email us your photos to album@kuiu.com. Ok, now I am excited. Nice to see you have made a pattern that will work for a country boy like myself. Let me know if you want to go ahead and get it tested on whitetails in South Carolina. I’ll even buy some myself. Thanks James! Glad you like it. Congrats on the hunt, that is some awesome country up their. Looks like a very rewarding hunt, and the new camo pattern looks excellent. The photos validate that both the old and the new camo are effective, but the green coloring should be versatile for turkeys, early season ducks, etc. Thanks Harley for taking the time to comment. I really appreciate the support. Congrats Jason…Fantastic pics and beautiful animals. You are a Beast! Well done. 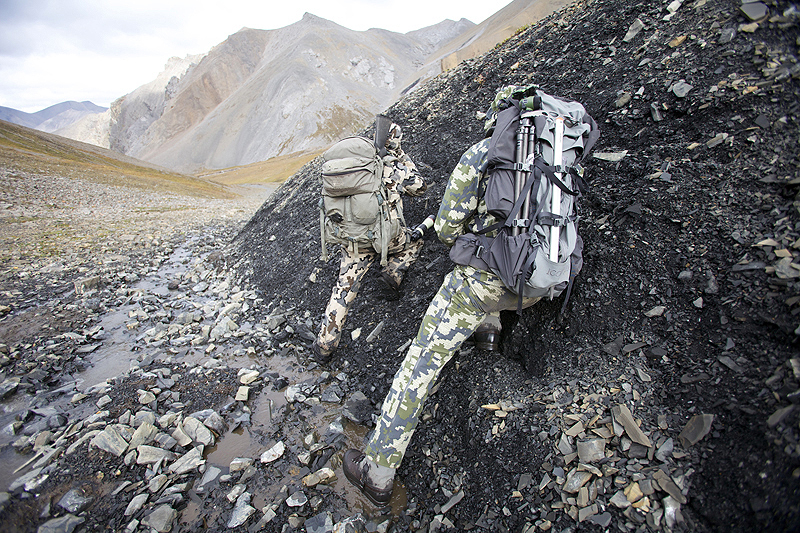 Looks and sounds like the hunt of a lifetime…New camo is impressive and the KUIU pack cover is real cool. Thanks for sharing, T.
Thanks T. Good luck this season. Awesome photo essay. New pattern looks like a winner for us eastern treestand hunters. Can’t wait to get some. Thanks Joel! Glad to hear it will work for you. Awesome Jason! I couldn’t put the iPad down!! What a hunt, WOW! Kudos to the photographer Paul,, he did amazing. Paul, if you are reading this – please please please take digiscoping gear next time so we can see the trophies as the hunters are trying to move in. As primarily an Ohio deer hunter, I have to say thank you for the verde pattern. I warn you though, this will surpass any sales you have ever seen. I suggest multiplying your normal orders by 10!! I know I will be ordering. Can’t wait for it to hit the store! Thanks Gregg! I am excited to hear you like the pattern! Announcement coming in the morning. Stay tuned. VERY VERY COOL! Great photos linking the story line with a remarkable hunt. Thank you James. I am so glad you enjoyed the story and photos. I am so glad to hear that Tom. Great Job Jason! those are some fine trophies. Congrats on all fronts and thank you for sharing your hunt! The photo’s are incredible. The new pattern looks to be a winner. The whitetail/turkey hunters will be pleased. Thanks Kevin for taking the time to comment. I appreciate it. 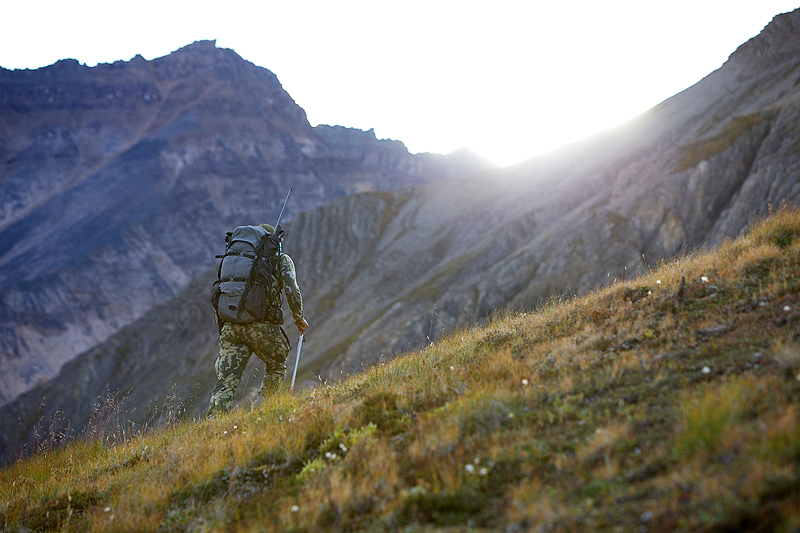 Though there are still many mountains I have not put my foot on, I have hunted a few already and nothing, no other mountain hunt in the world compares to hunting the mountains of North america. 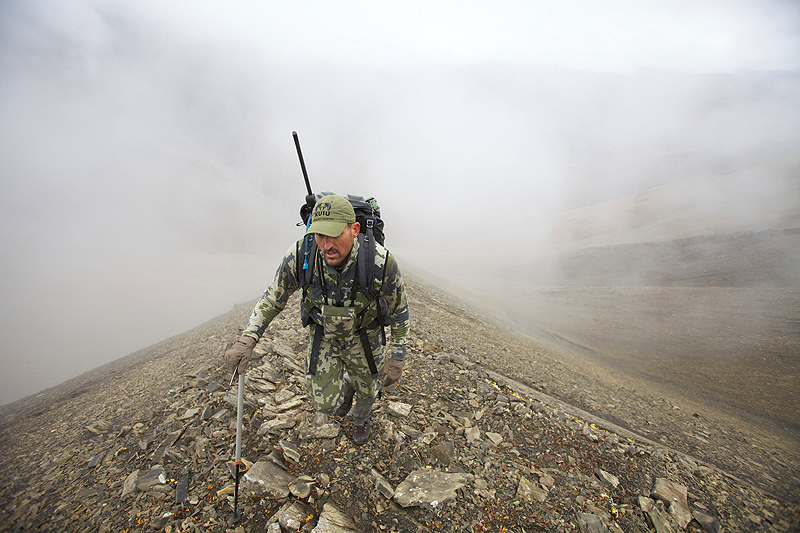 No other hunt is so physical, so sportive and so ethical, and no other mountain has touched me so deep as the mountains of North America I have been to. Congratulations, Jason, well done my friens, and thanks so much for sharing it with us! Thank you Alvaro! I really appreciate your comment and it is nice to hear this. I know you have hunted in so many places. Good luck on your up coming hunt. Be safe my friend. Unreal. Huge congrats Jason, you’re an animal. Thanks Kevin. I will do a post trip debrief. Looks like you had a unbelieveable and very memorable hunt again with them. Congradulations! Fantastic hunt! I think you are a member up at Mel Toponce’s club. I’m Mel’s lawyer and met you at the Golden Gate Chapter SCI dinner. Hi Marc. I did not end up joining Mels club. Good to hear from you and thanks for the comment. Looks like you had a great time, just got back from a Bighorn hunt and loved the Vias in the mountains but now that were chasing elk in the heavy timber I want the new pattern too. Can’t wait. Verde will be a killer on Elk! 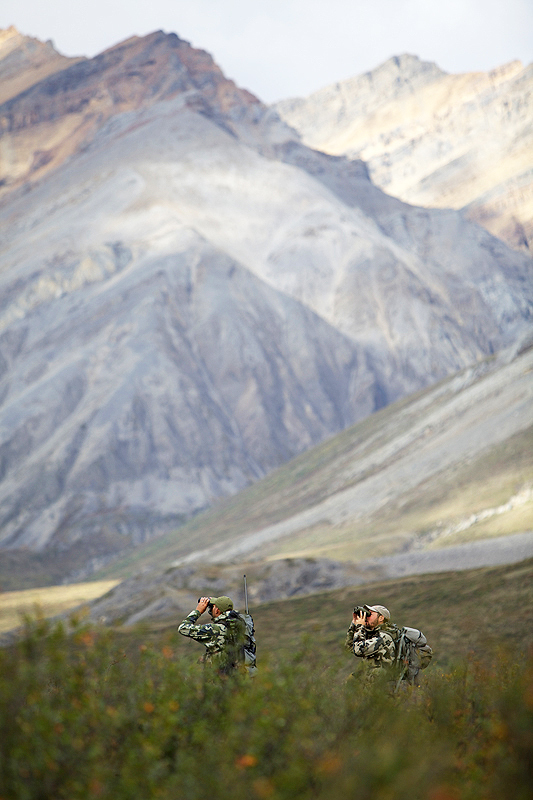 The best way to tell a story of a hunt is always through pictures, particularly it country such as that. There is no other way to describe it. Amazing hunt, it makes me want to get back way up north. I love hunting blacktails and pigs under oak covered golden hills here in CA, but there is nothing like hunting way up north. Outstanding hunt and great photography! Those memories aught to last a life time. Just all around great! Unbelievable! What an adventure, congrats on your trophies. The pictures make you feel like you were there. Thanks for sharing. Amazing trip and way to get it done. I like Vias, but Verde is going to do well! 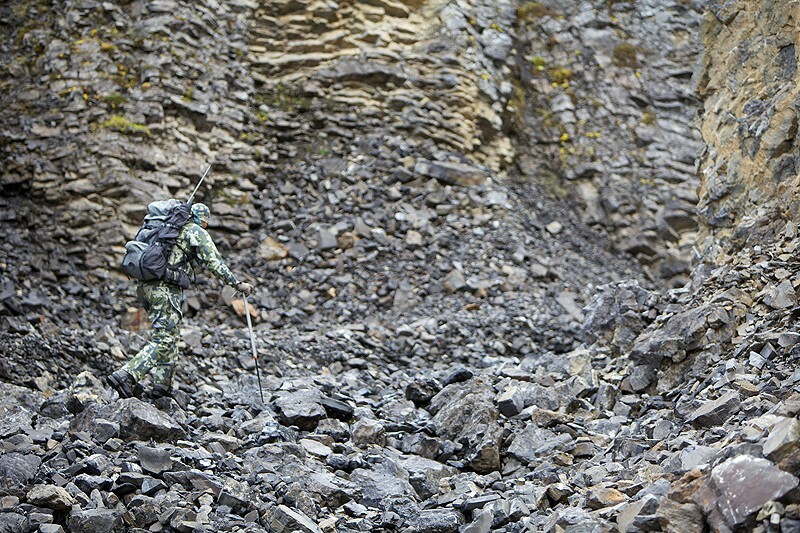 If your photographer has more pictures of you guys together in various terrain it would be interesting to see. What a trip! You hard work paid off! Congratulations! Thanks Matt. I appreciate it. Awesome pics Jason! I agree with Gregg’s comment. Absolutely cannot wait to use the Verde in Ohio either. Was that the Petzl Snowscopic Axe? How do you like it? Thanks Justin. I look forward to hearing how the pattern works for you. I do not go up north without my Petzl Snowscopic Axe. I use it to cross rivers, cut out a spot for my tent, build runways, cut willows and one time hang my pack on a vertical slope. Great Post! Awesome story and pictures thanks for sharing. Inspiring to say the least! Thanks for putting in the effort to share the hunt in such detail. I’m saving my pennies, and Franklin’s too! It is a must do in life! A quality photographic sermon to the choir. Cool new camo pattern, but being a westerner, a mid to light earth tone for the pale green areas would be perfect. Three quality animals. Very nice outting. Congrats Jason! I could write a book-length response here but I’m sure you know my thoughts about putting that Verde pattern to use on Roosevelt’s and Blacktails!! Very nice! Thank you Tom! I cannot wait to hear how it works for you. What a great hunt. I love the pictures. Again congrats Jason! I got to see and put my hands on the new pattern and it looks awesome! Same type of macro pattern as vias but green added and a little softer break up with the pattern. Looks great… And those pics are bar none some of the best I’ve ever seen! Thank you Chris! It was great to see you the other day. Thank you Scoot!!!! I agree, Paul is worth every penny! Congrats, Great adventure and wonderful photos. Congratulations on another great hunt with ARRO and some really fine animals! I like the new camo pattern alot. The photography is STUNNING!!! Many compliments to Paul the photographer! Man, right out of the gate this year you’re settin’ the bar pretty high!!! Doesn’t sound like the trip could have been any better! Congratulations on 3 outstanding trophies. We finally have this one where we like it and will be moving into production. Available this Spring. Very nice Jason! Congrats on the success and thanks for taking the time to share the great pictures with us! The new camo pattern and gear looks great! Can’t wait to hear more details! Thanks Jeff. Lets catch up soon now that I am back. Jason, Congratulations on your success. Thanks for sharing your adventure with us… amazing photography. Wow! Love the new pattern prototype! Can’t wait til it’s offered!! Thanks Josh, I am excited to hear this. Like the new camo !! Sweet – Congrats to you – You are men amoung boys. Fantastic Story! Congrats on the outstanding hunt! Thank you Mike. I appreciate you taking the time to comment. very good looking new camo, amazing pictures. Once again, Congratulations!!! Thanks Ryan. I heard you are as tough as they come! A very nice story shared. I’m glad you actually filled three tags on one trip. I hope to fill at least one next year in Alaska. Great job Jason on 3 great trophies! The photos are amazing and so is the new Verde pattern. 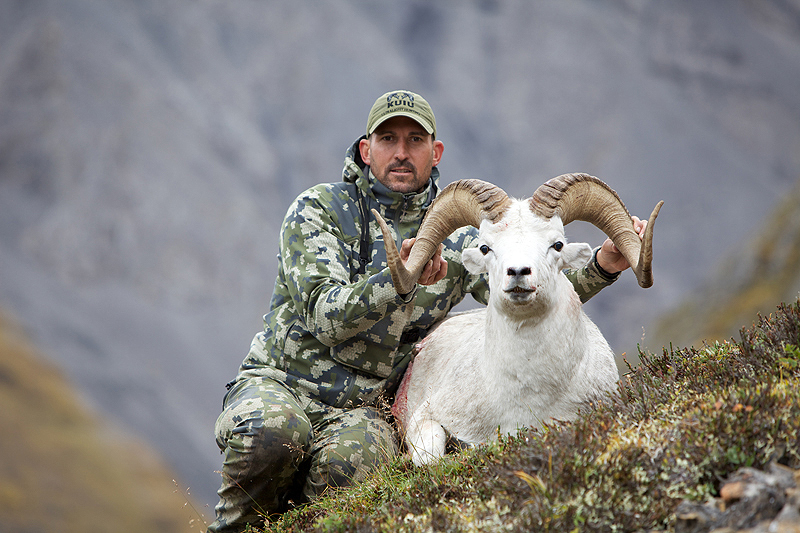 I’ll be one of the first to order a full set of everything for my Dall sheep hunt next year with my brother in Alaska. 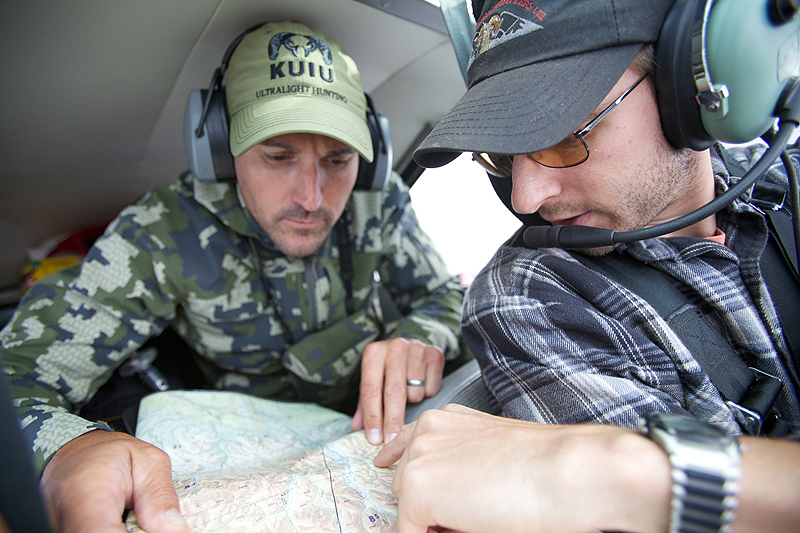 Spreading the word about KUIU out west! Can’t wait to see what other new products you have coming out for 2013! 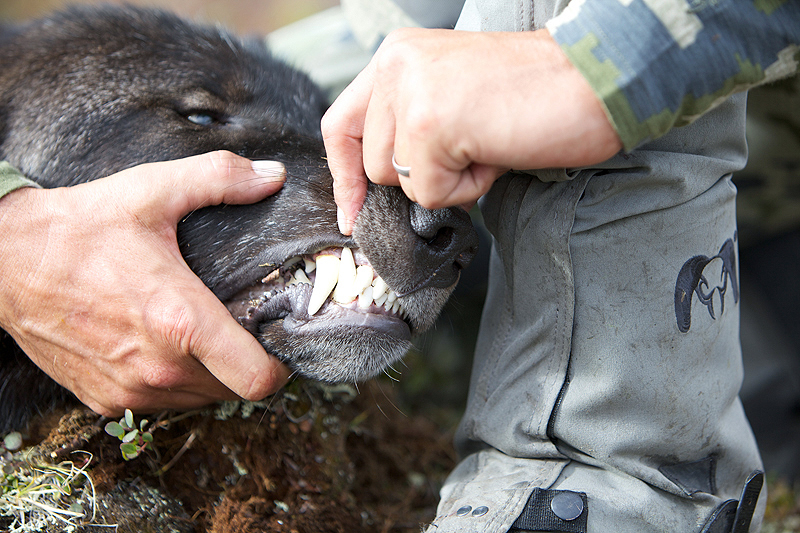 Great photos, great write-up, and great animals Jason. Congratulations! The pack out was herculian, but how much weight were you carrying in the ICON on a daily basis? My pack before food and optics weighs 20.2 pounds. I bring about 28 ounces of food per day for 10 days. My 85mm Zeiss Scope and Tri-pod weigh 7.5 pounds. Add my Rifle at 5 1/2 plus ammo and I am in the 50+ pound range and dropping about 1.6 pounds per day as we get through the food. I hope this answers your question. Call me if you want to go over this. You pack better than me. I will have to trade packing lists with you sometime. I am at 70+ lbs for 10 days, excluding rifle. I and my new ICON are off to Wyoming next week; hopefully with similar results. You had a great hunt Jason. I’m going next year with Stan Stevens. Your Dall is beautiful, what was the horn length? 37″. Good luck next year. Stan runs a fantastic operation. Jason, I leave for Newfoundland in 4 weeks. Any chance of getting some of the new verde Camo to test out. 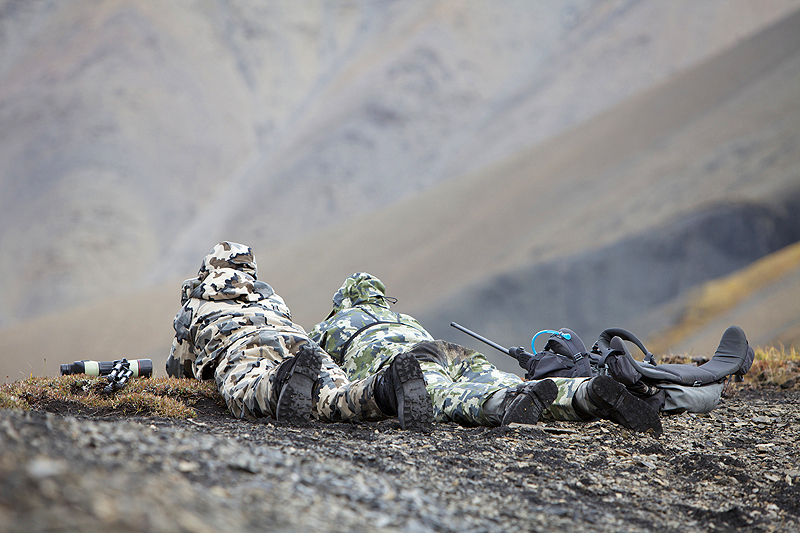 I am hoping to be shipping Merino 185’s, Attack Pants and Guide Jackets by the end of the month. 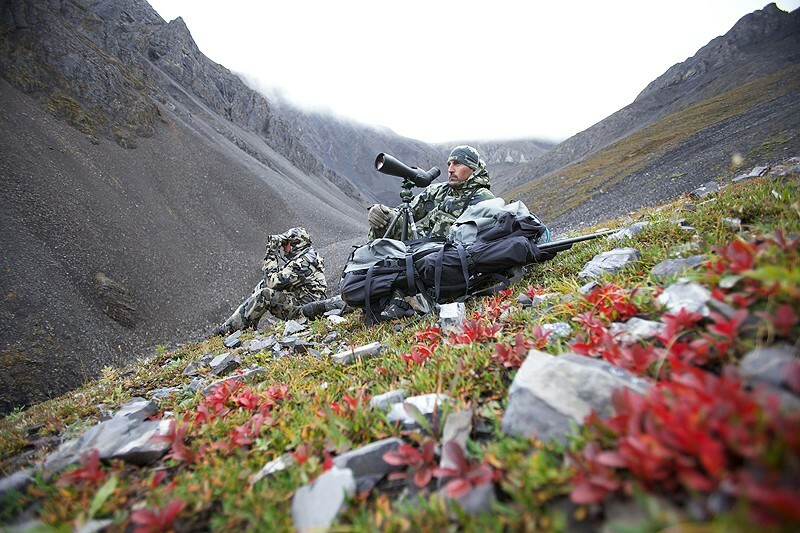 Thanks for the awesome pic,s of your hunt.Shot mine there With Jeremy Bergen in 2007.Wish you would have had Kuiu then as the gear I have from you sure beats the hell out of what I had on my trip to Arctic Red. Thanks Mike! Jeremy is an absolute stud. Congrats Jason! Thanks for documenting your hunt, I enjoyed it thoroughly. Verde looks great! Thanks Drake. I aways appreciate your comments. Thanks Matt! Please send me photos of the gear in New Zealand. 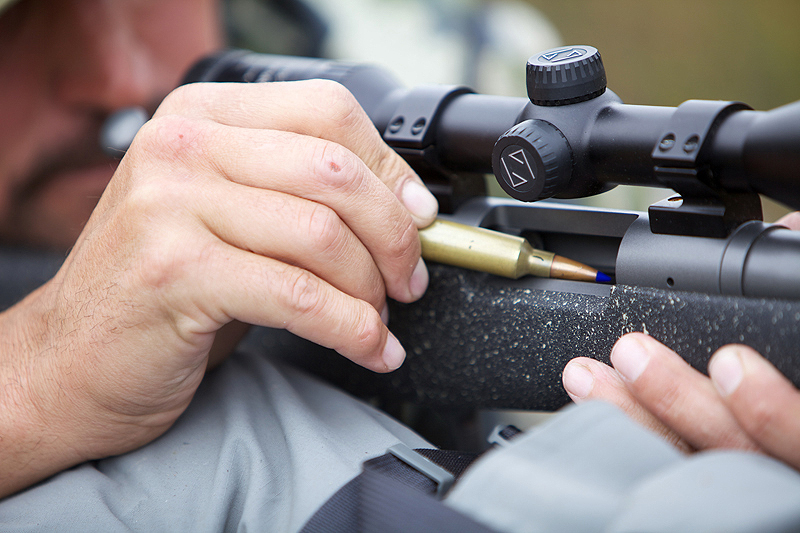 what Tri-pod do you use for your rifle? is it the same one you use for your spotting scope? Hi Jordan, I shot off of my Gitzo tripod I use for my spotting scope. Jason, feel free to not answer or delete this, but did your guide us an MR pack? It looks like he has a Mystery Ranch hat on. Just an observation. Also, are the pant zip vents going to be a regular addition? Can’t wait to get the new pack and frame along with all my Verde gear! Yes Kent uses a Mystery Ranch pack. He is switching over to an Icon after this season:) He tried mine on and he was sold. Thanks Don! Paul Brides photos make the essay an great one to follow along with. I am glad you enjoyed it. It was great to meet you at base camp and share a meal. 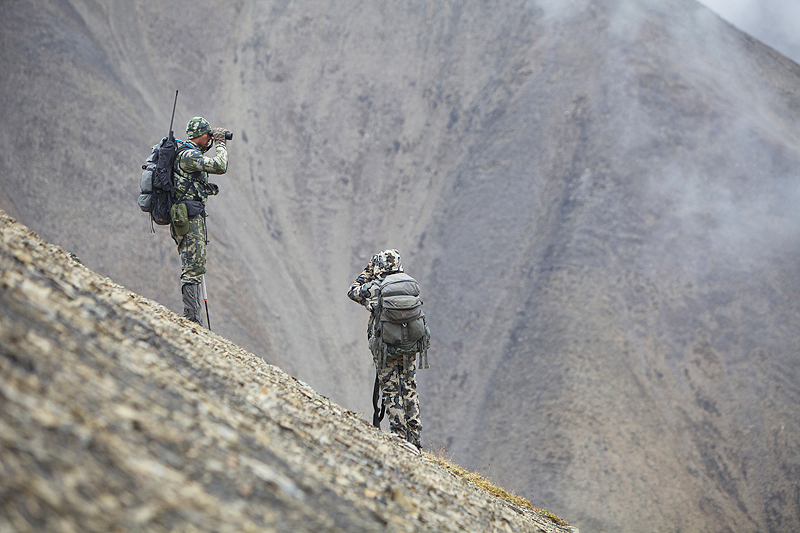 Your gear again proves its place at the top. The photo blog is fantastic. Tavis, Rebecca and the entire Arctic Red crew are top shelf. Loved the story! What a hunt and I look forward to trying out the new gear. 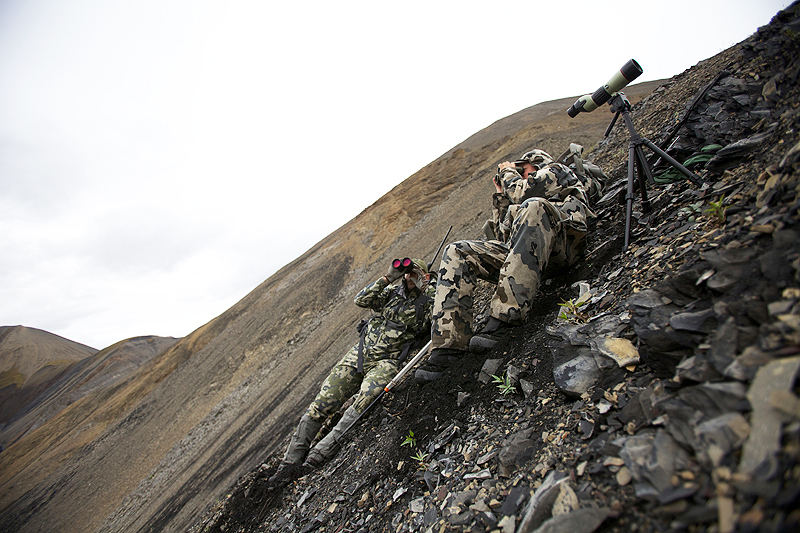 An arctic hunt is on my list. Nice job on the horns. What an excellent set of photo’s to commemorate the hunt of a lifetime! 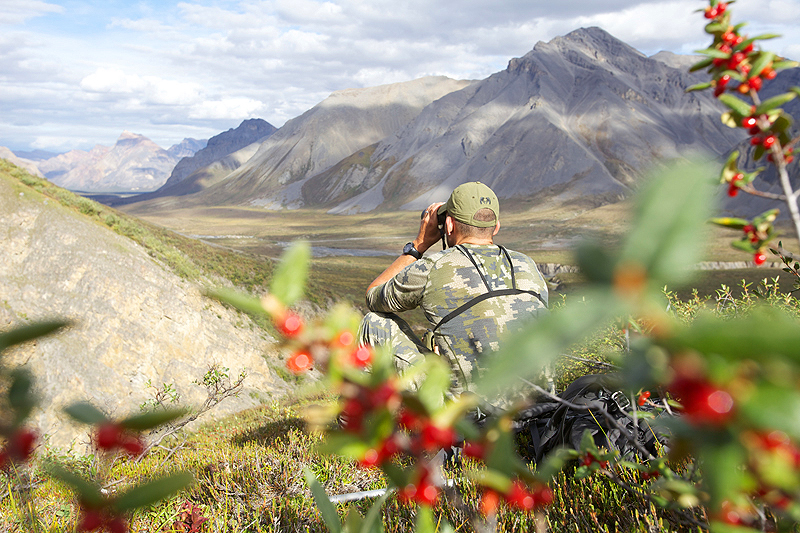 I guided for Arctic Red back in the late 90’s. This set of pictures bring the memories back like it was last week! 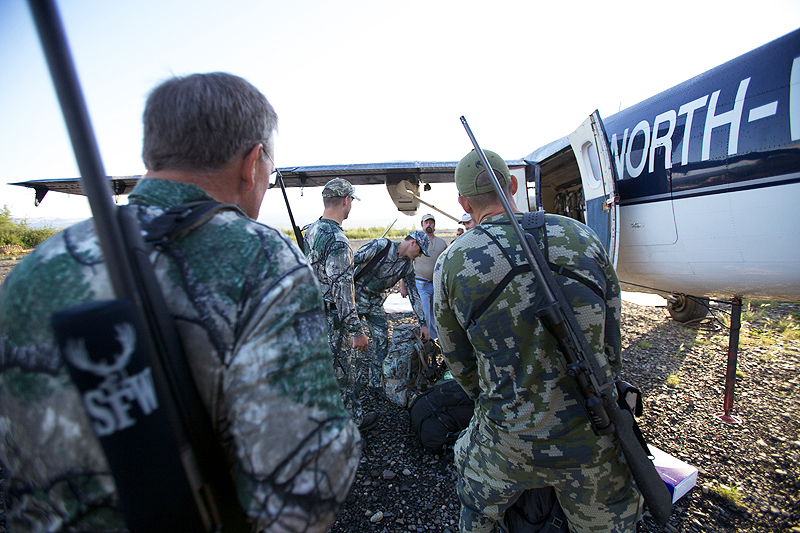 Nothing beats those air drops After 7 days of Mountain House meals and oatmeal. Great job on 3 fine trophy’s! Thanks Andy. You may have met my dad in 1999 when he shot a 12 1/2 160″ broomed off slug of a ram with his longbow. He was hunting with Cam Sidham. I LOVE that place! I booked again for next year. The entire hunting suit looks great, I recently purchase the attack pants & guide jacket, and if it performs as good as soon as everyone says, i will surely look forward in checking out verde too. Thank you for the comment Felipe. 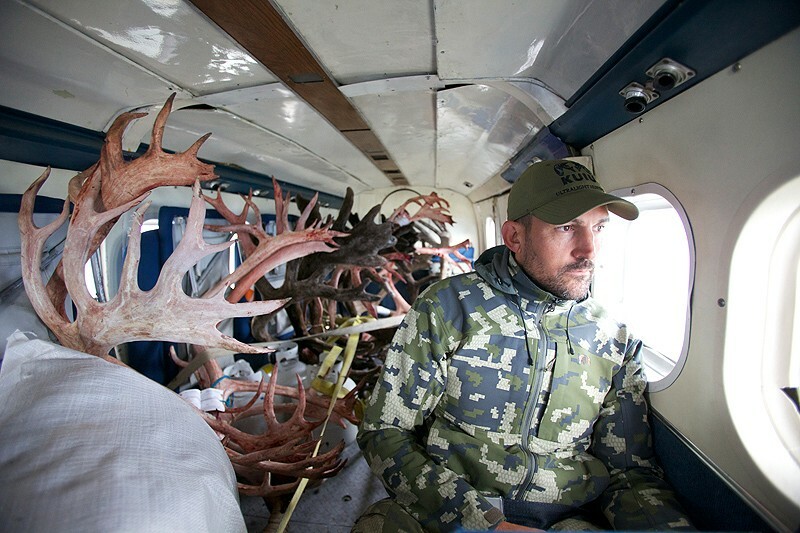 More than a “hunt” congrats on a truly epic adventure. The photos are absolutely top notch. 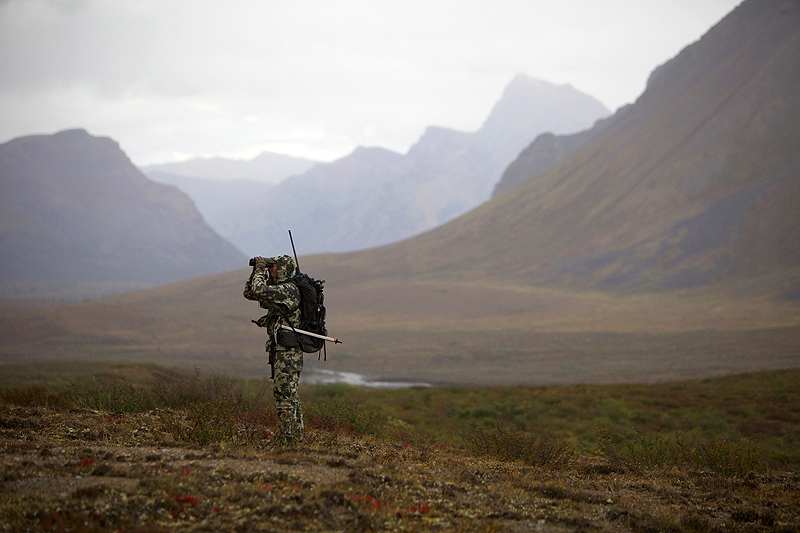 While you’ll never tire of gazing at the mount of your ram, in the photos you will treasure the flashbacks that take you right back up on the mountains in the NWT. Good choice to bring that photographer. What a great hunt! And I love the Verde Camo, can’t wait to see it in person. 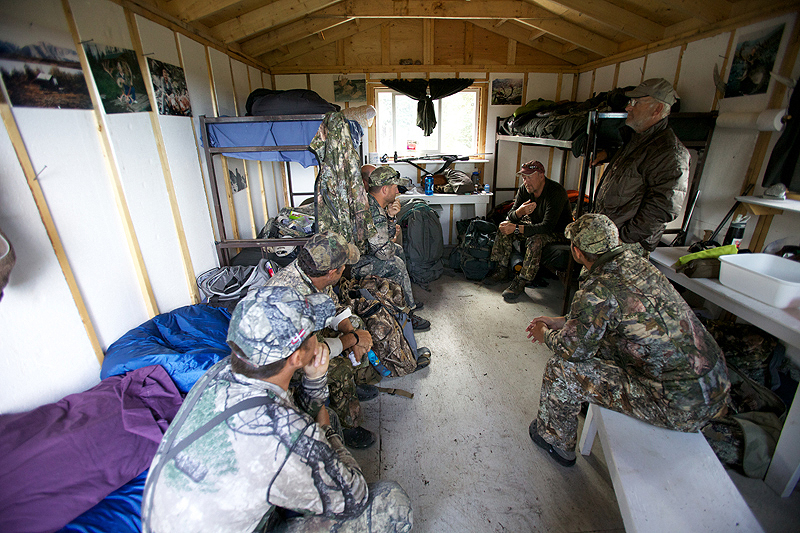 I was working to the area south of Arctic Red ( Harold Grinde’s Gana River Outfitters)- and some of the boys were trying out your gear. I guide for a number of different outfitters and will be switching up guiding from horseback to backpack next year and am interested in trying the line out. I have heard nothing but good things from your customers, I am hoping the men’s line works for a woman too. I have been wearing Swazi & Icebreaker for years; but am looking to support a brand that employs people from my home province. Upon returning I HAD to order up a set of Verde. Thanks for the comment. Glad to hear you like the new prototype. I will announce this new product line next month. Congratulations on a magnificent hunt. And kudos to your photographer; many of the individual photos are exceptional, and he did a tremendous job of documenting the trip as a whole. Is he responsible for the black and white images I’ve been seeing in many of your advertisements? Very hip; almost archival in nature. By the way, just received my Icon 7000 and it’s a dream…so well thought out. 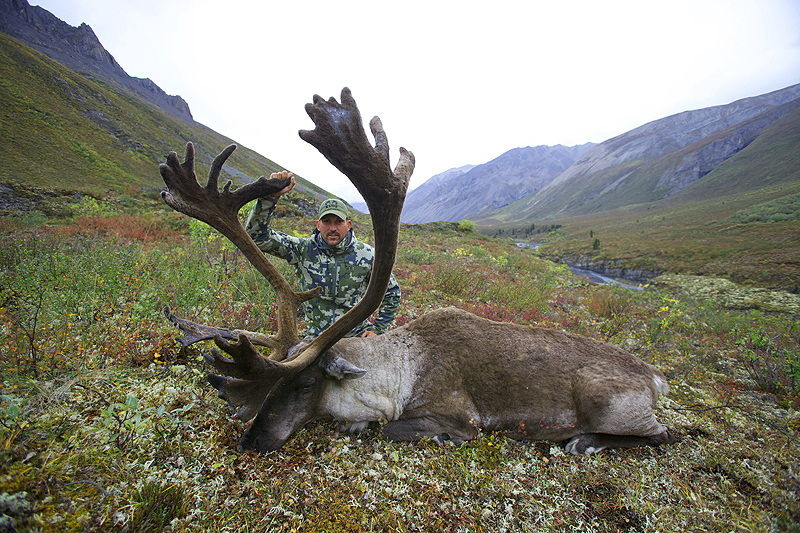 Awesome Hunt and Awesome Caribou! I actually got to read this hunt while staying at the Prudoe Bay Hotel in Dead horse…our one shower in 15 days. 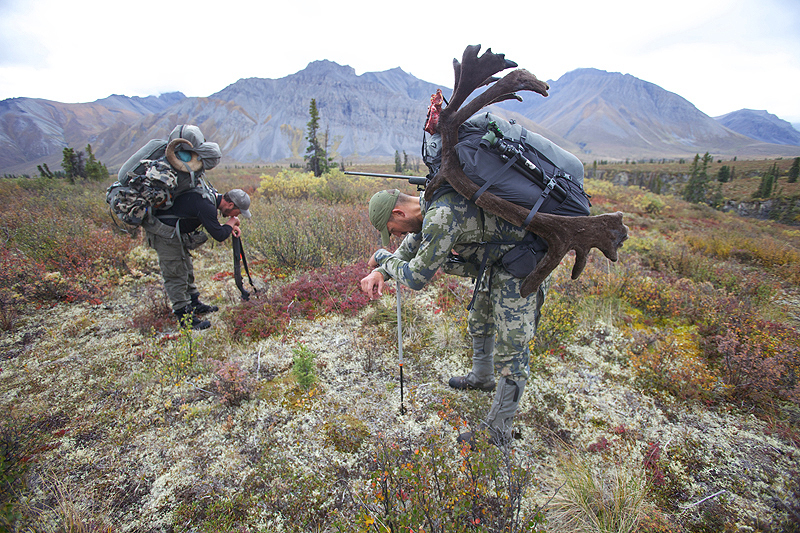 It was great motivation as we were hunting caribou! Thanks for the Excitement. Jason…Just found your post and pics. 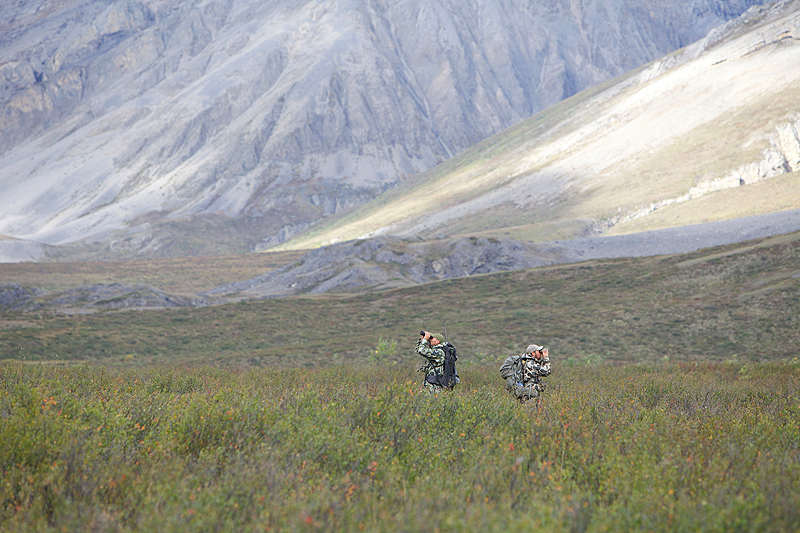 I am booked with ARO for a 2013 sheep/caribou backpack hunt beginning Aug 5. I chose the Icon 7000 over MR based on the lighter weight and side pockets that will cover my rifle’s action and optic. I wore the pack loaded with 45 lbs for the first time last week-end during an 8 mile conditioning hike. 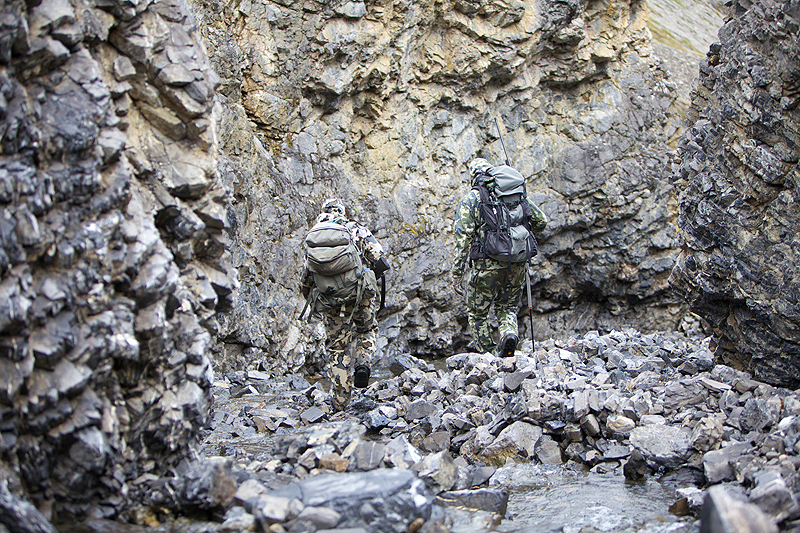 Afterwards, I was sure that I made a good decision on Kuiu and the 7000, but more so now knowing that was the pack you chose and it carried that kind of weight. My wife is going with me on the hunt. We will be celebrating our 35 wedding anniversary on this hunt. Great pics and captions. This is our first adventure of this magnitude and they gave us a sense of what to expect. Besides being in the best shape of our lives, do you have any other tips? I am also carrying a .300 WSM. What ammunition and bullet were you using? If you are booked again with ARO maybe our paths will cross in the NWT this year. Take care! I head into the mountains with ARRO on August 27th. You are going to have a fantastic trip. Build a gear list and stick to it. Be smart about what you put on it and pack light. I meet guys every year heading in and out who over packed for the trip or were not prepared with the right gear. This is big country and over 10 days every ounce is critical. Come in the best shape of your life and be mentally prepared for a grind, day 5 and 6 can be a mental challenge for many if you do not have the right mind set. Jason which pattern do you prefer for sheep hunting? That was an awesome read! Great pictures! Thank you for sharing!